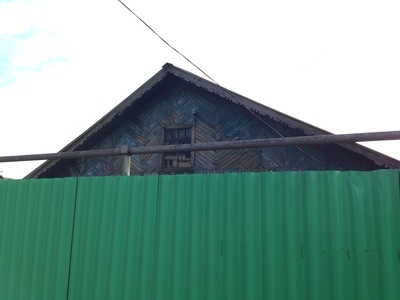 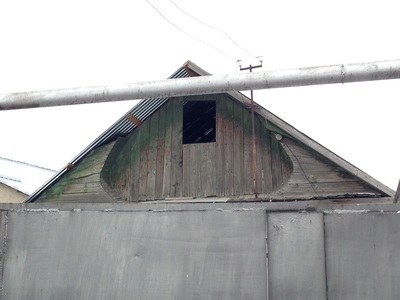 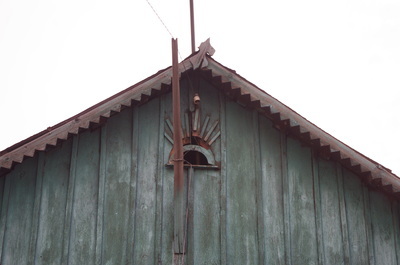 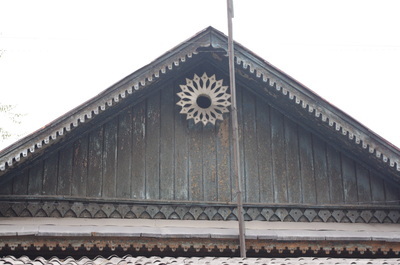 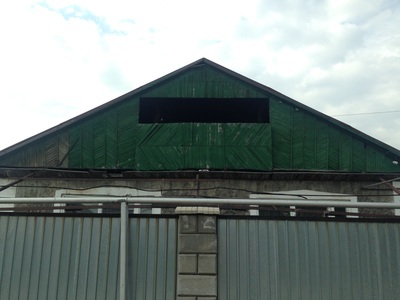 There's nothing inherently interesting, I'll admit, about a gable, "the triangular portion of a wall between the edges of a dual-pitched roof." 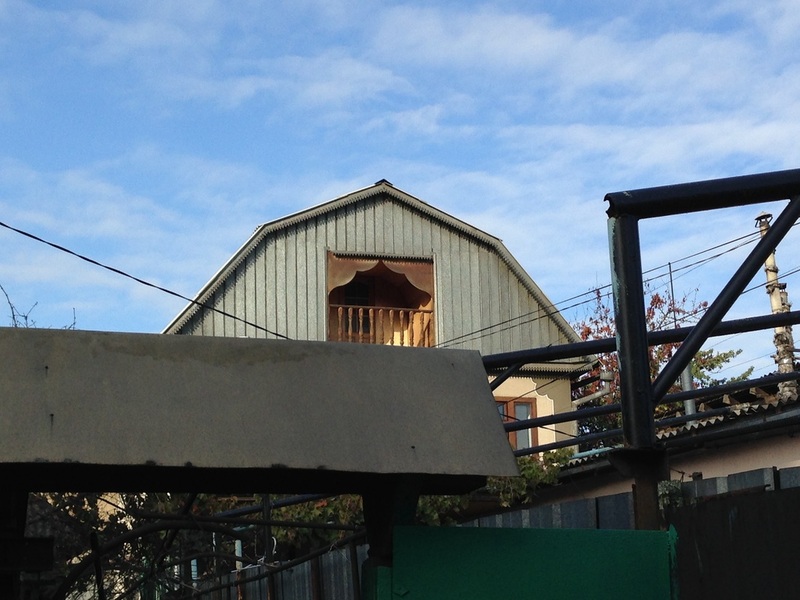 Reading the dictionary entry has never pumped anybody up. 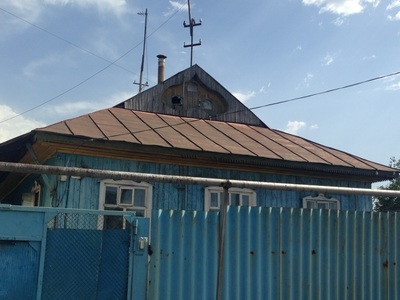 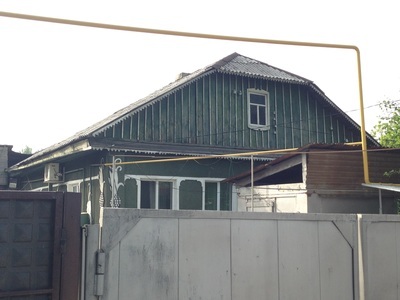 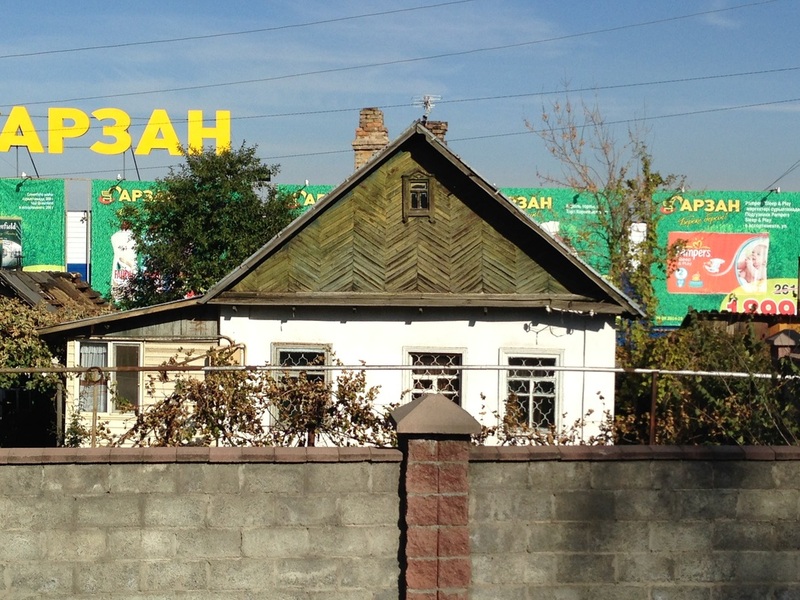 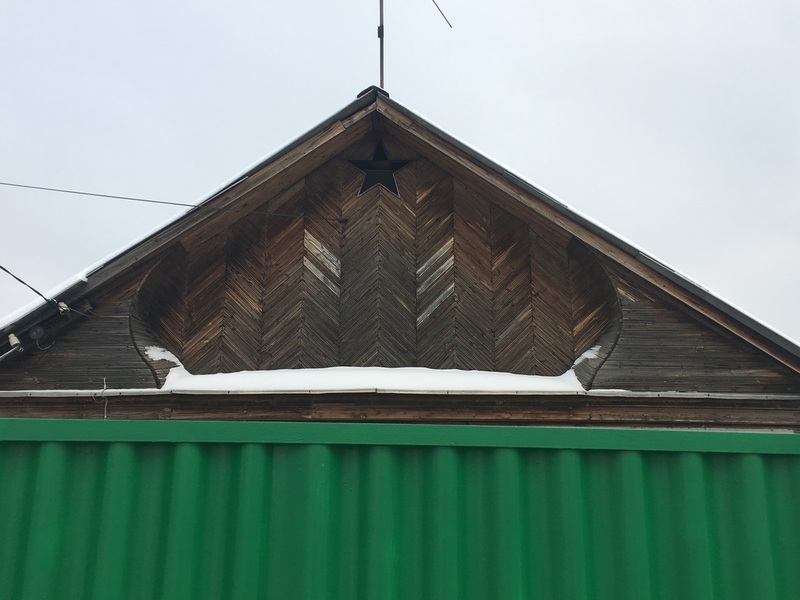 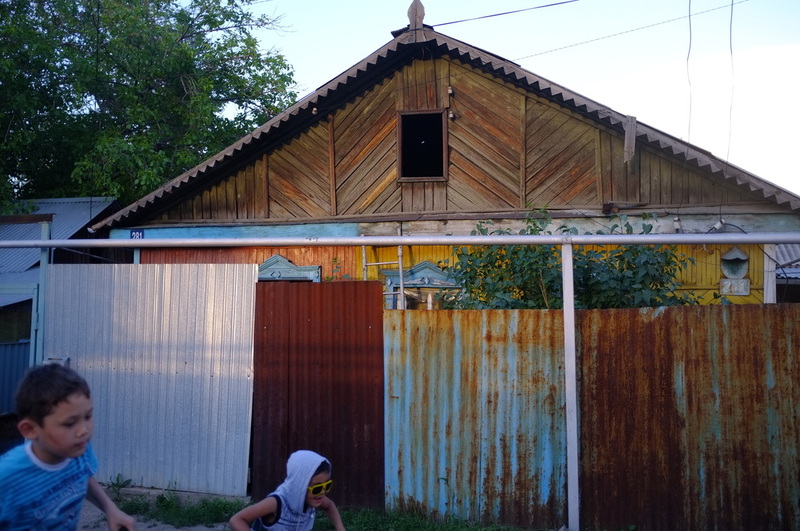 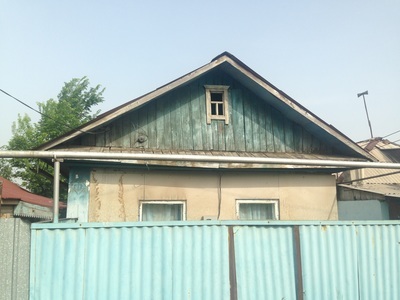 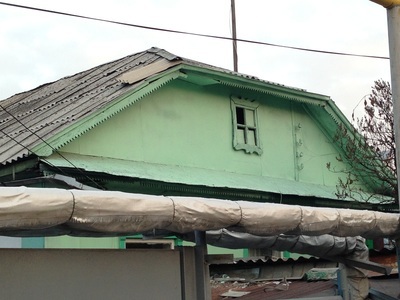 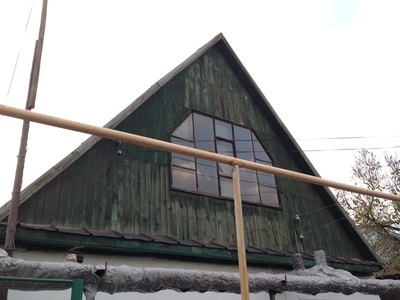 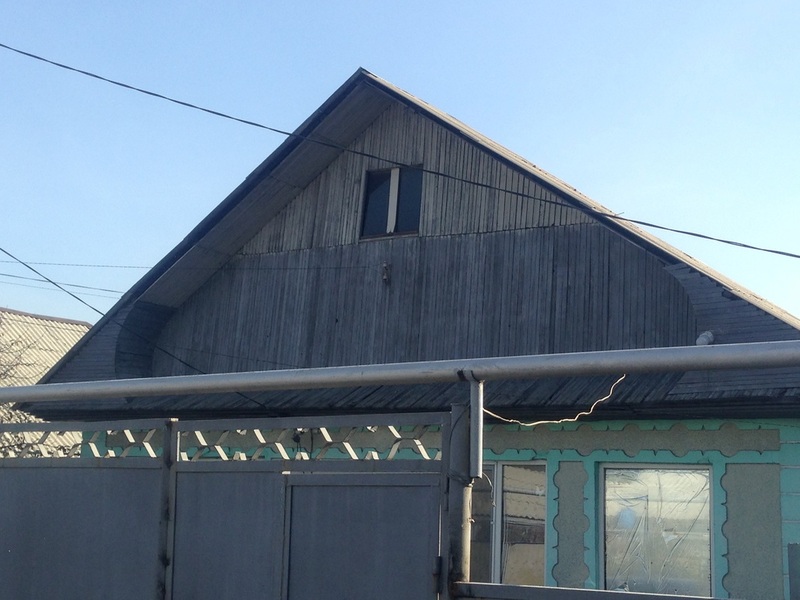 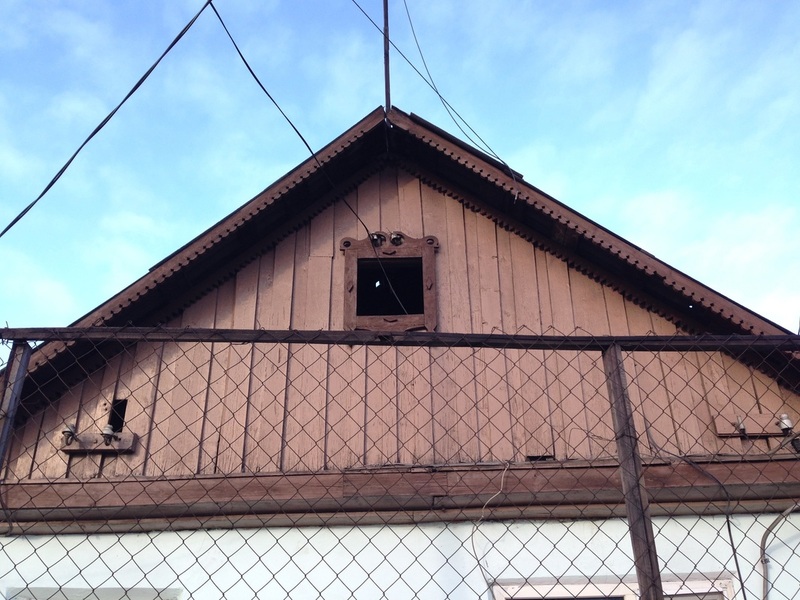 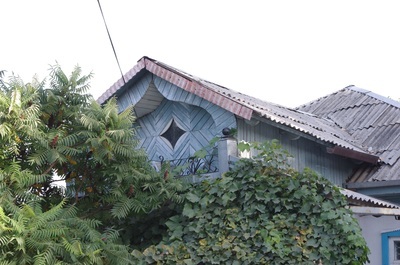 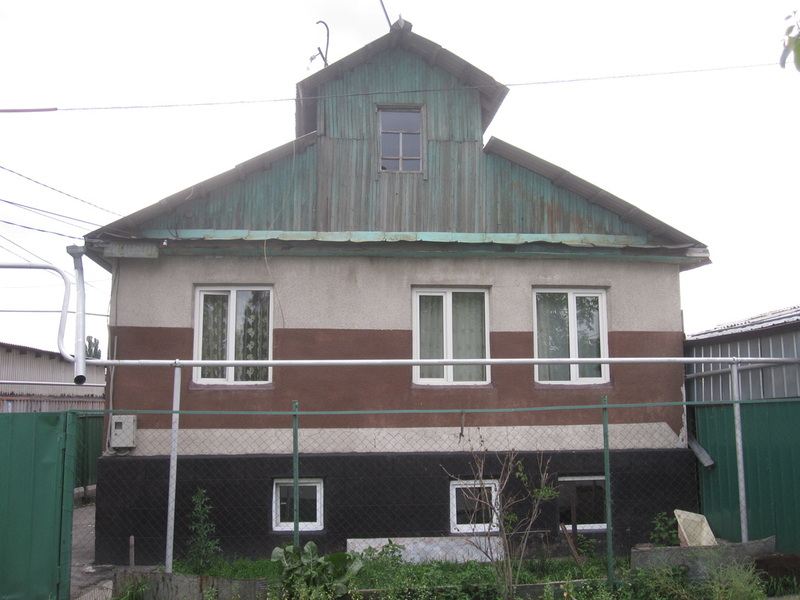 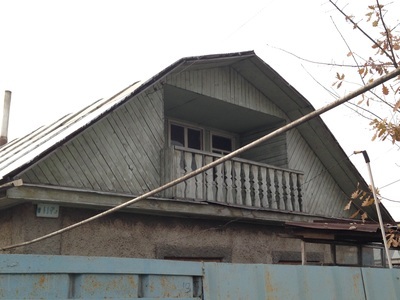 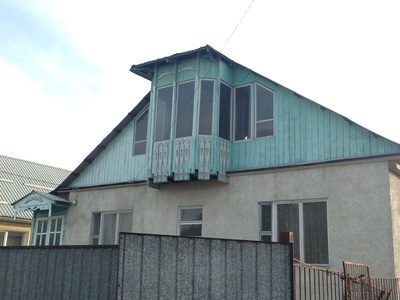 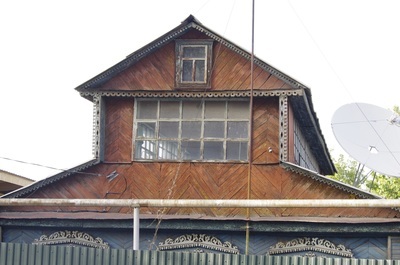 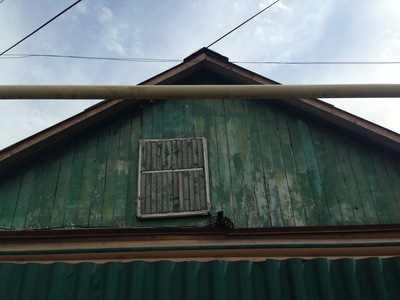 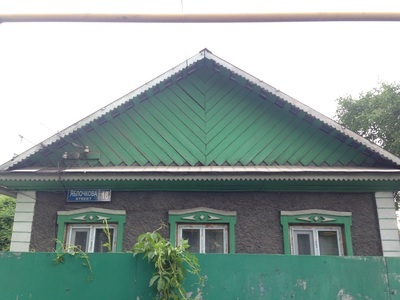 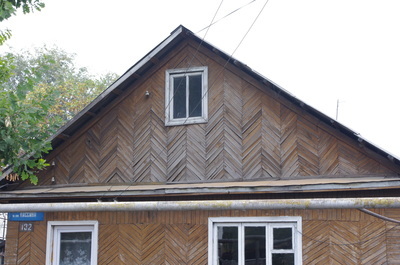 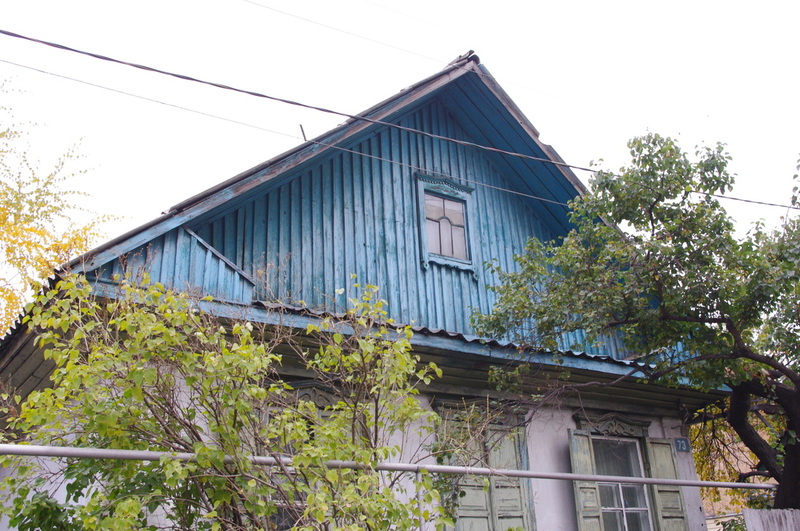 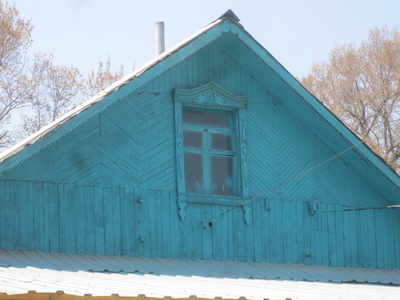 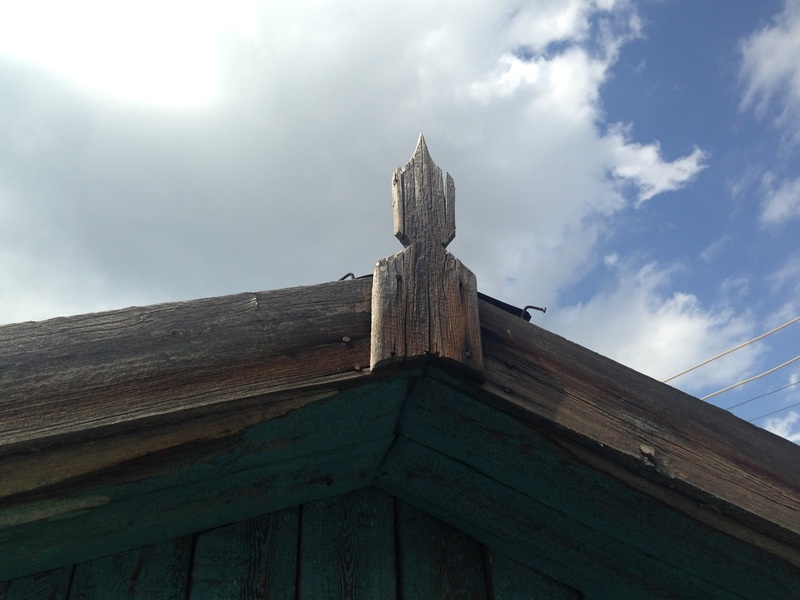 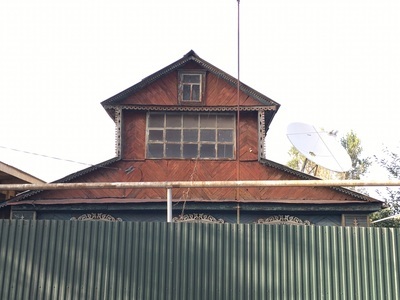 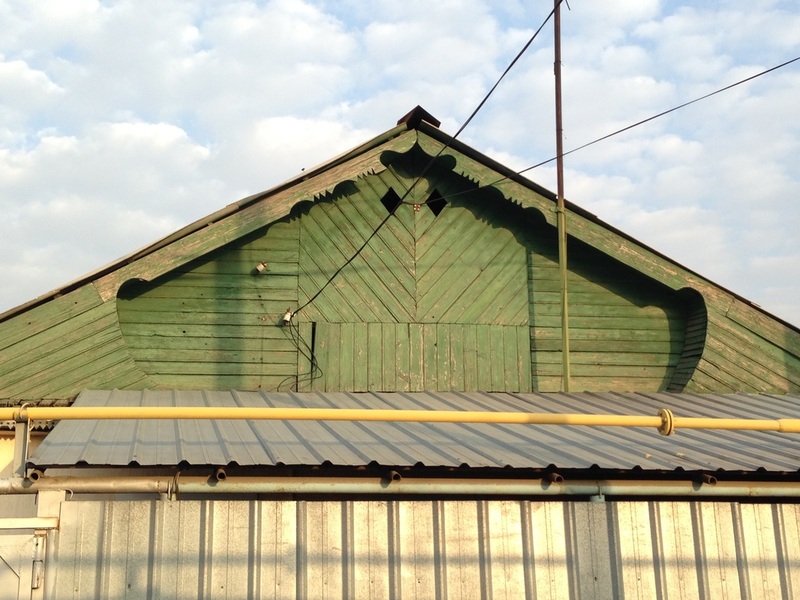 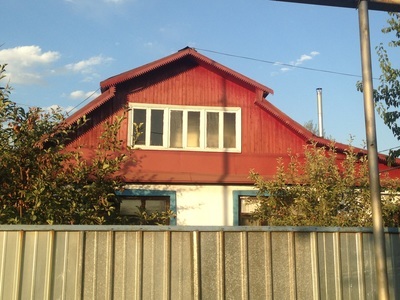 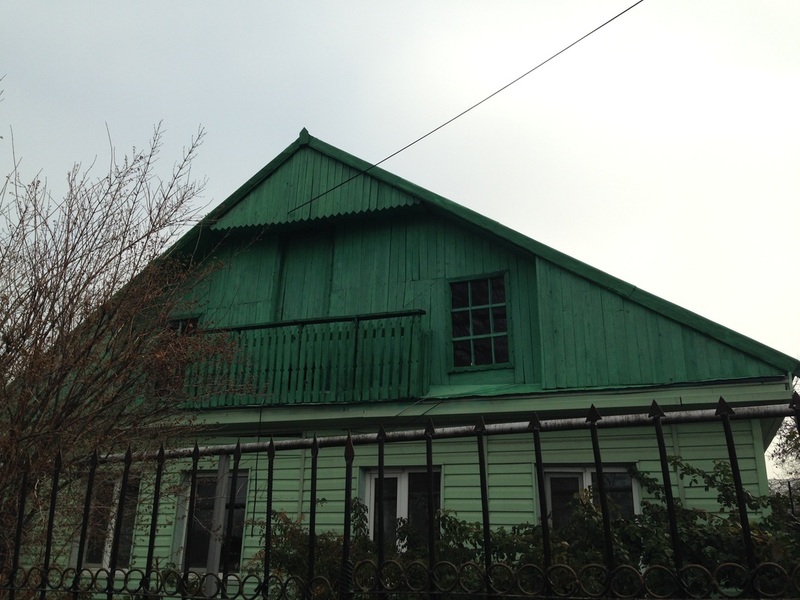 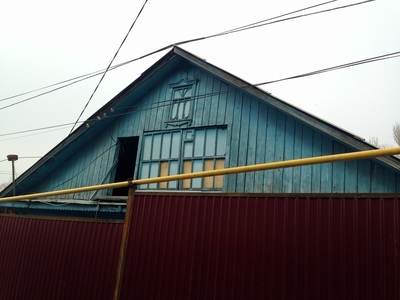 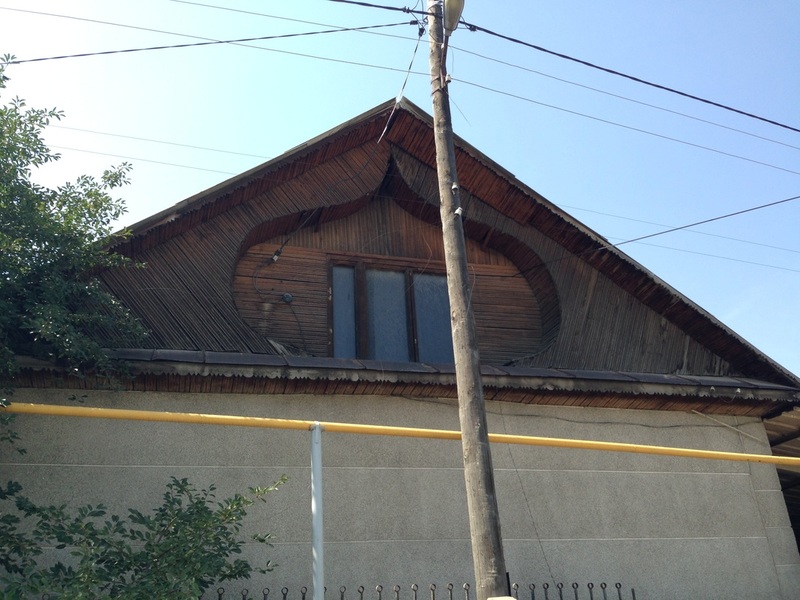 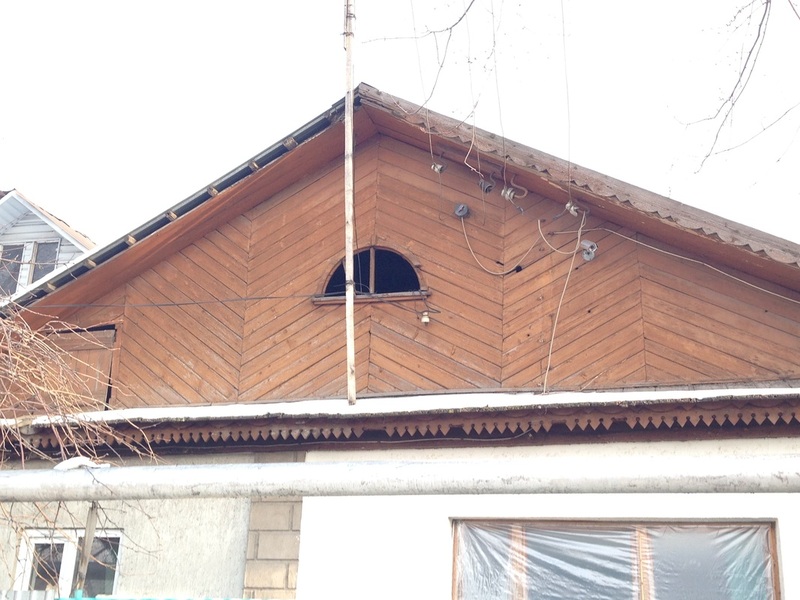 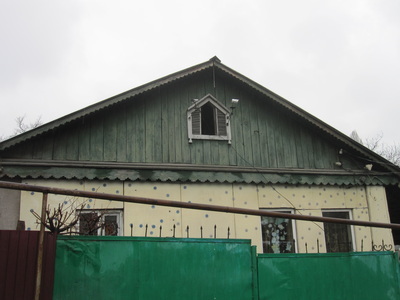 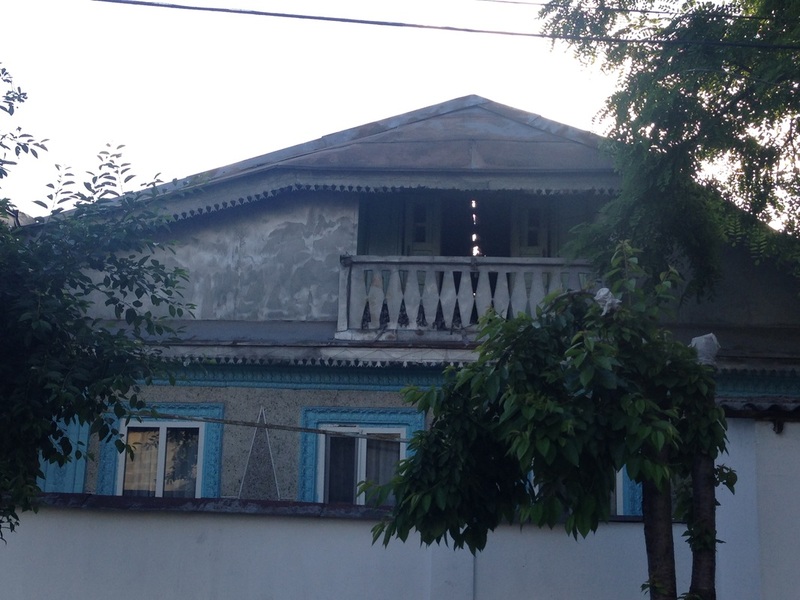 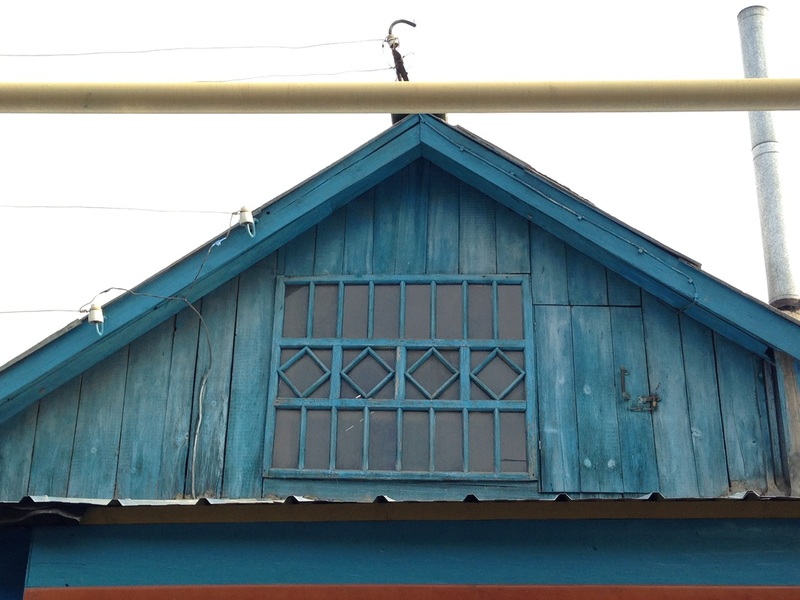 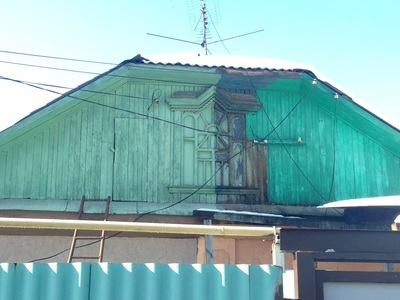 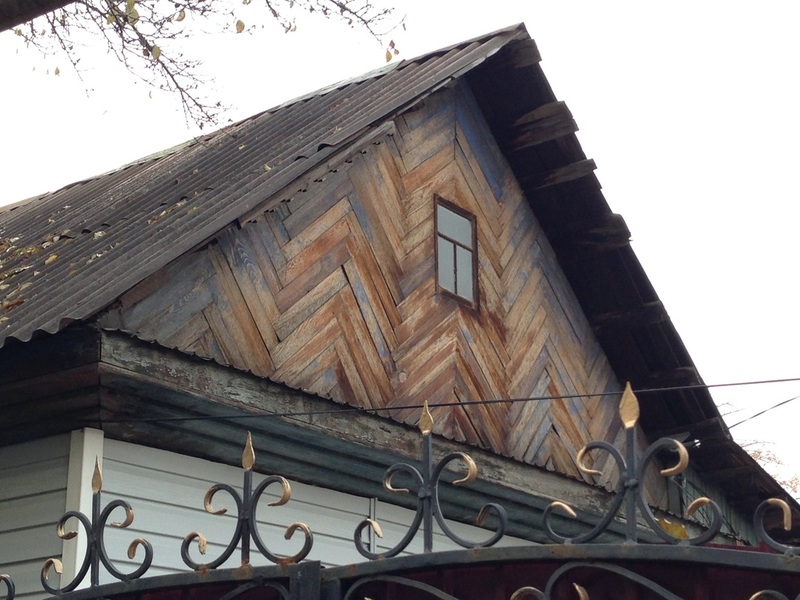 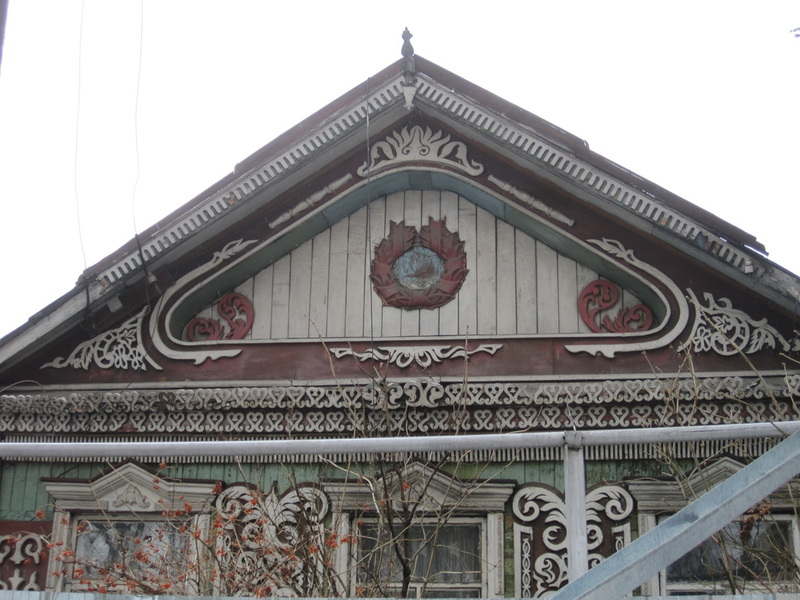 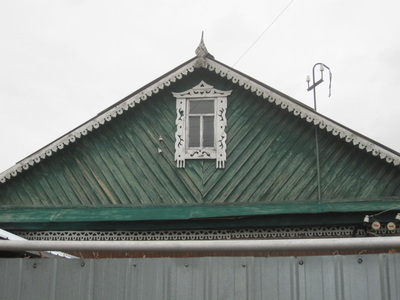 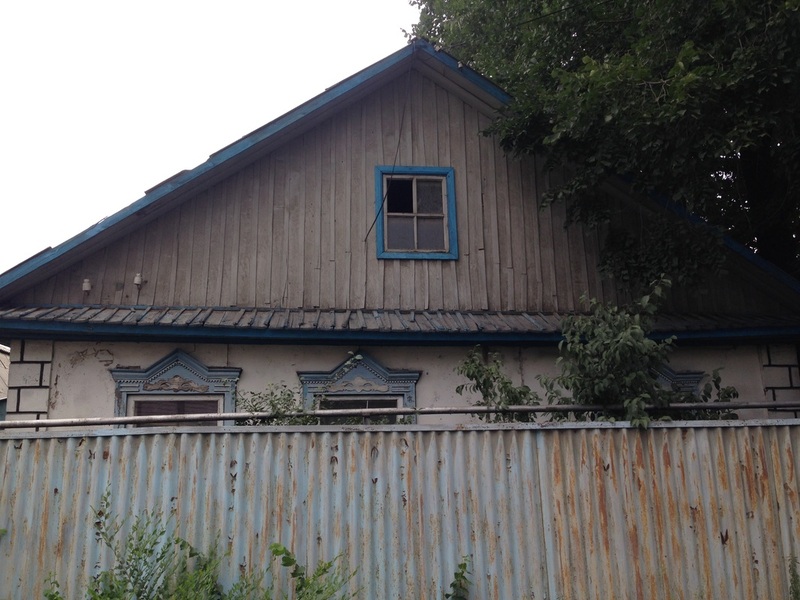 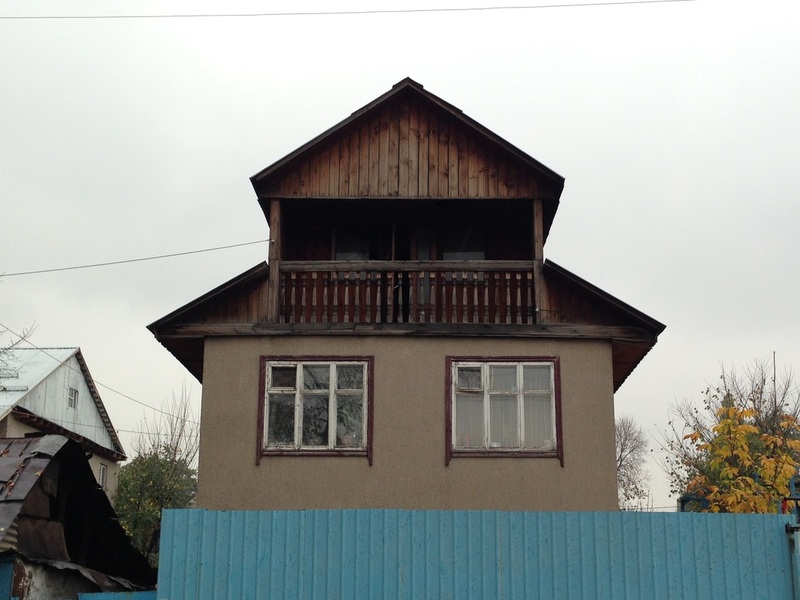 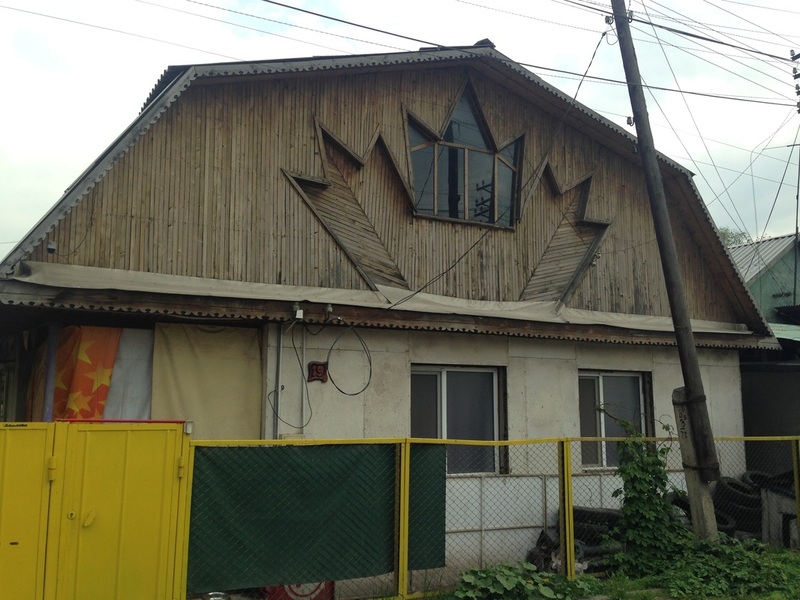 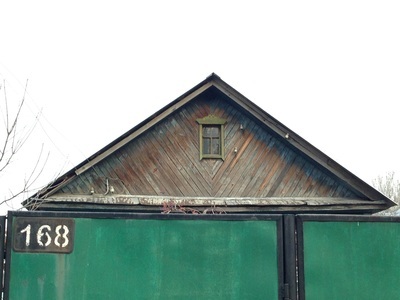 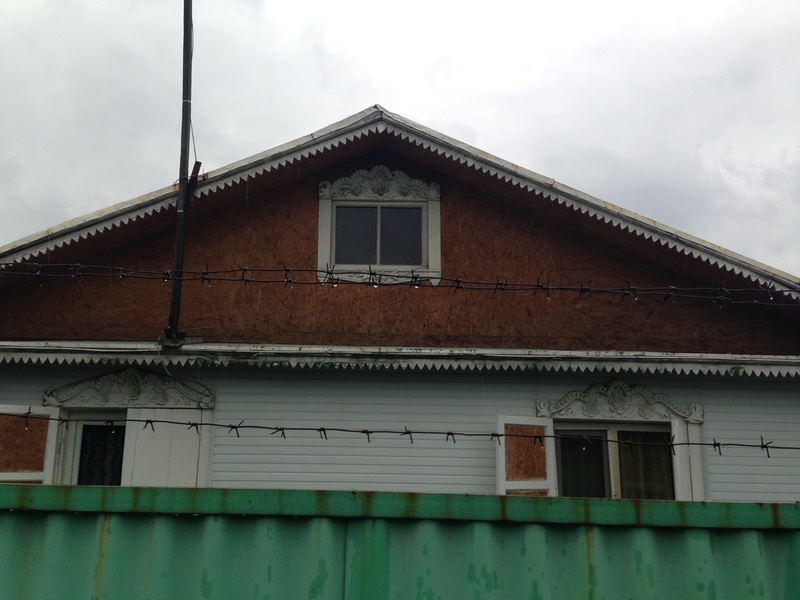 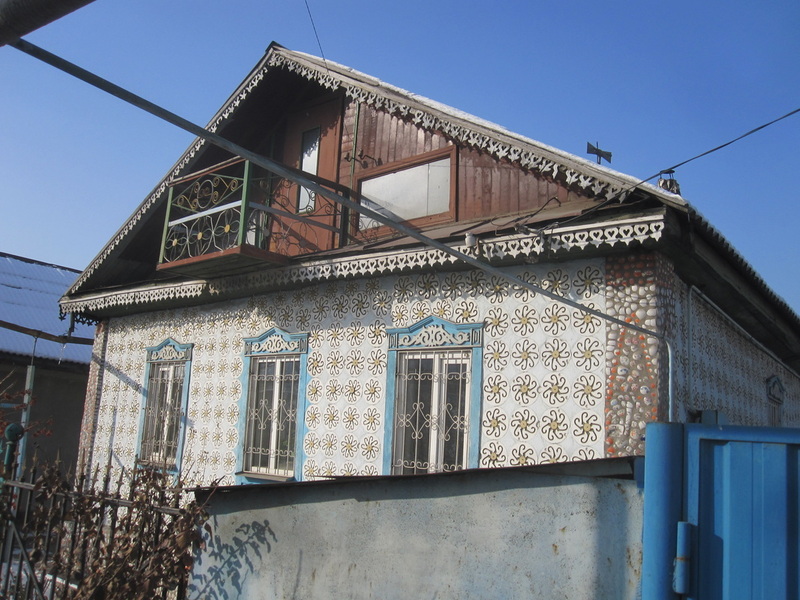 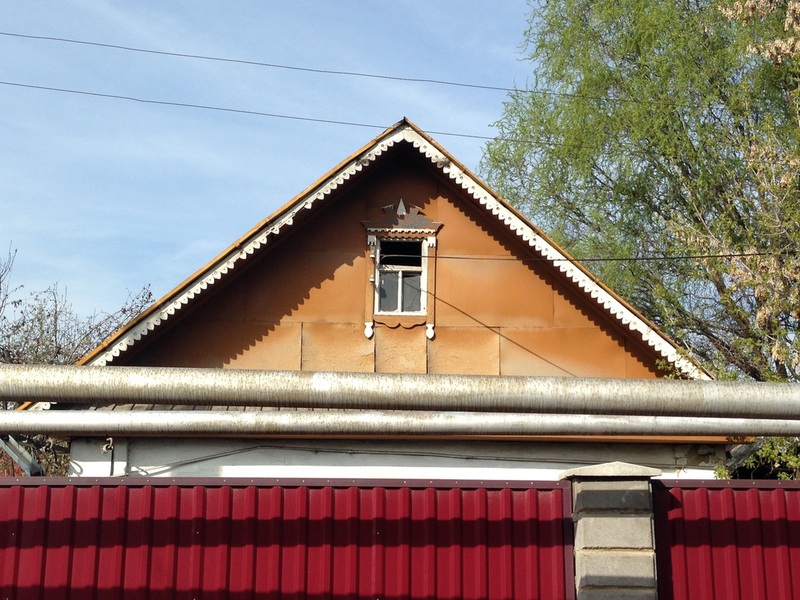 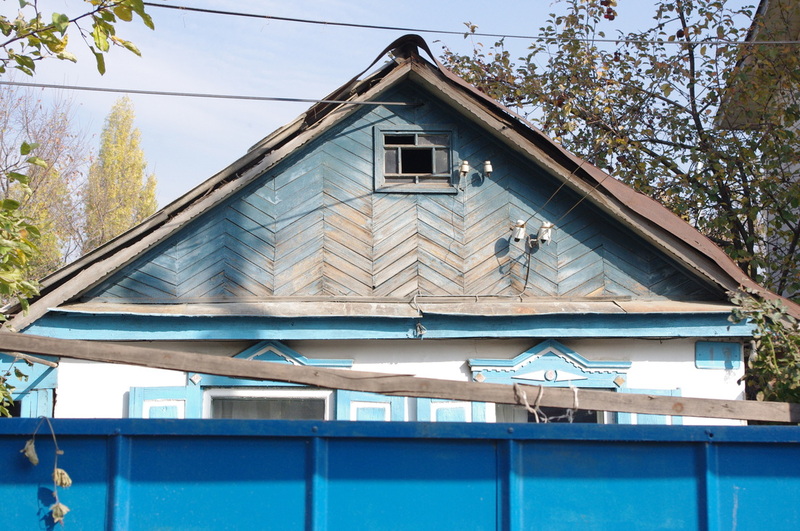 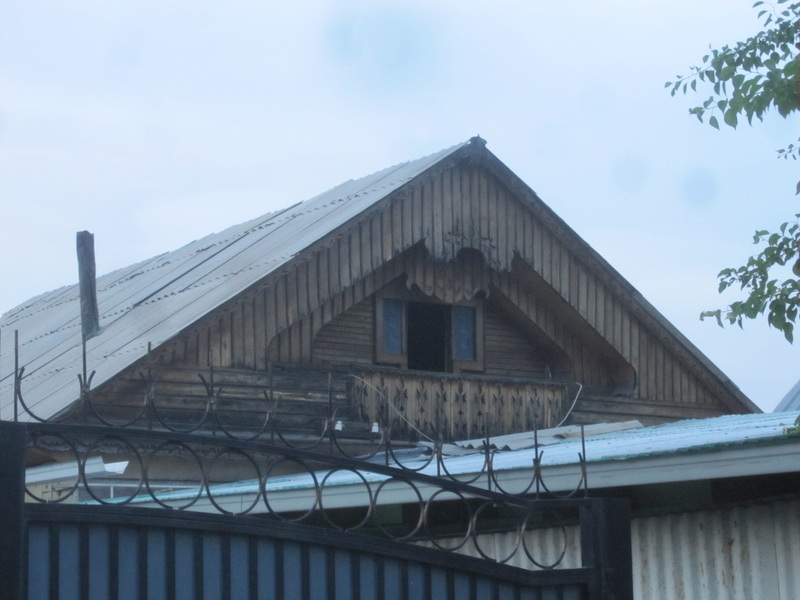 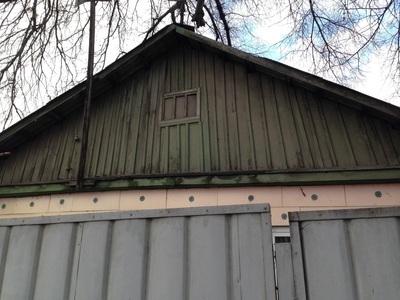 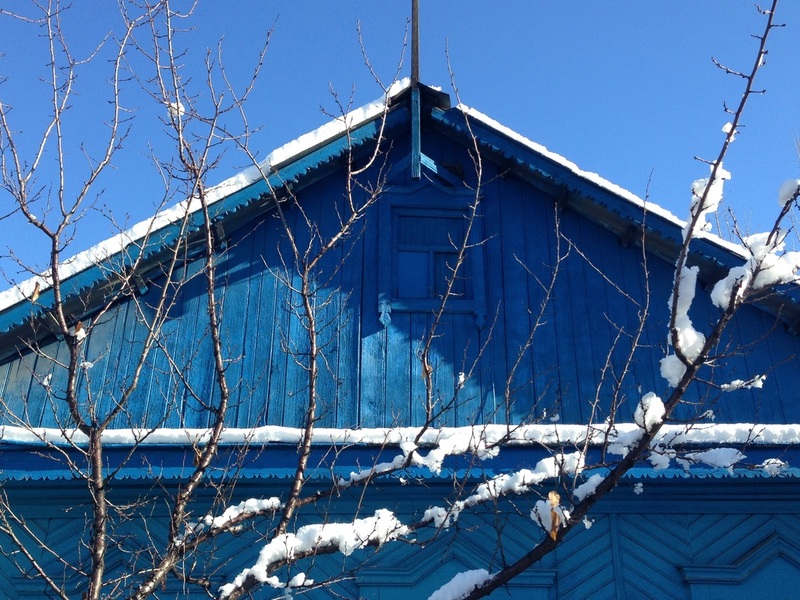 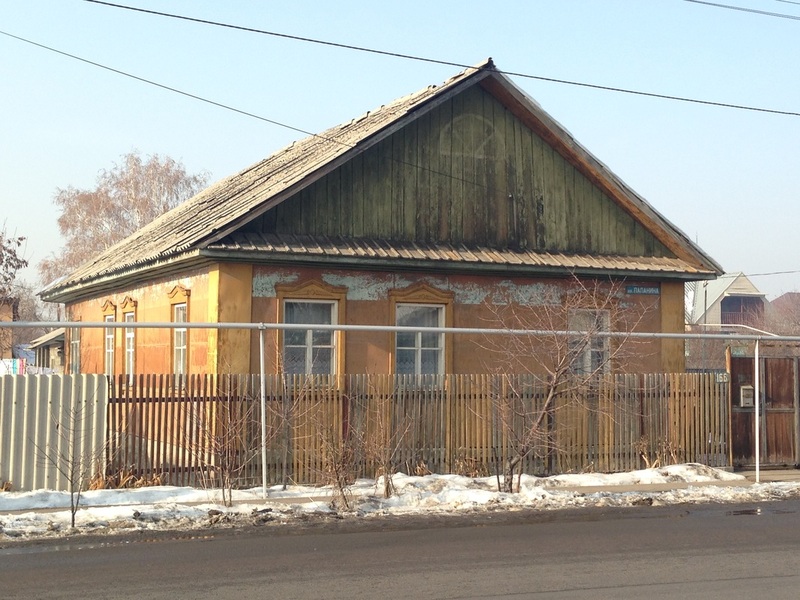 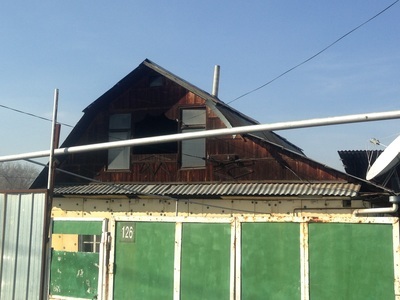 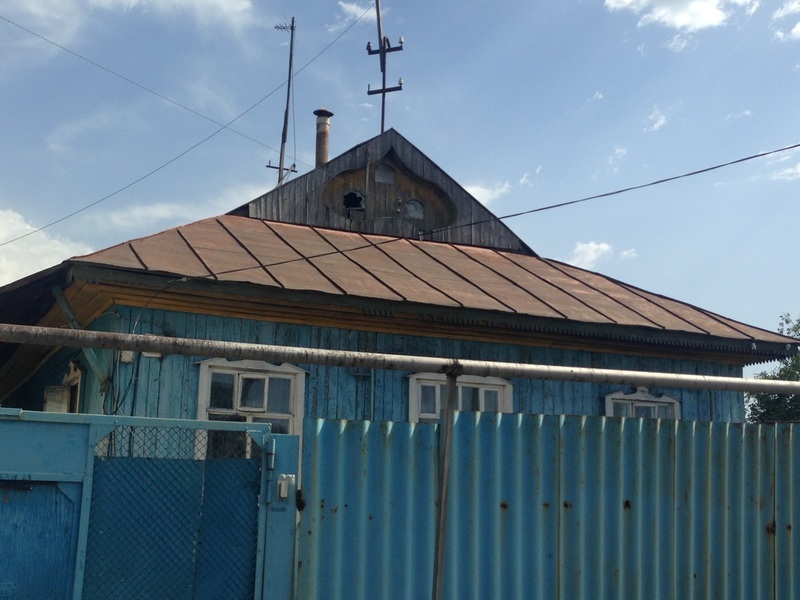 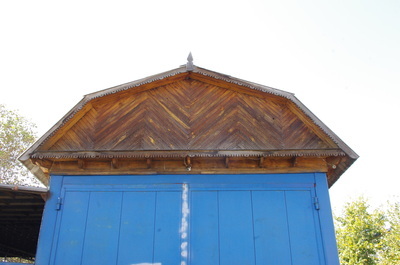 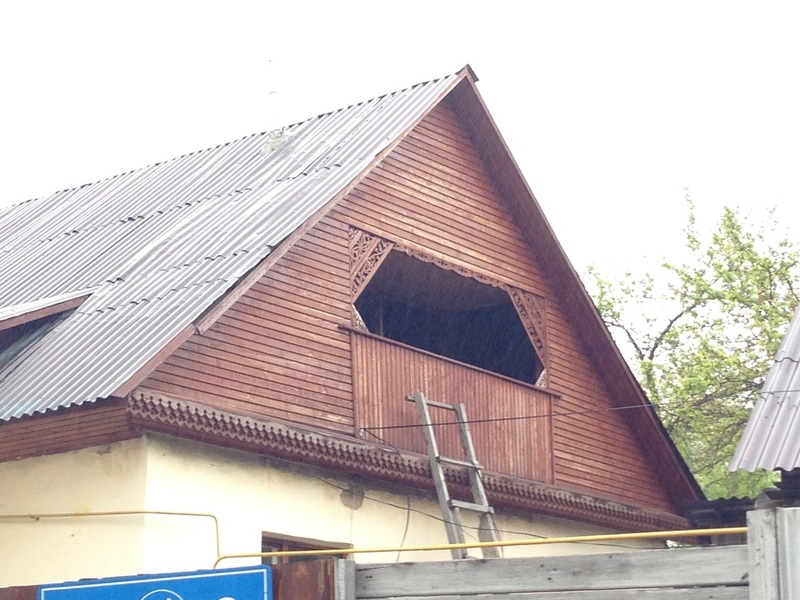 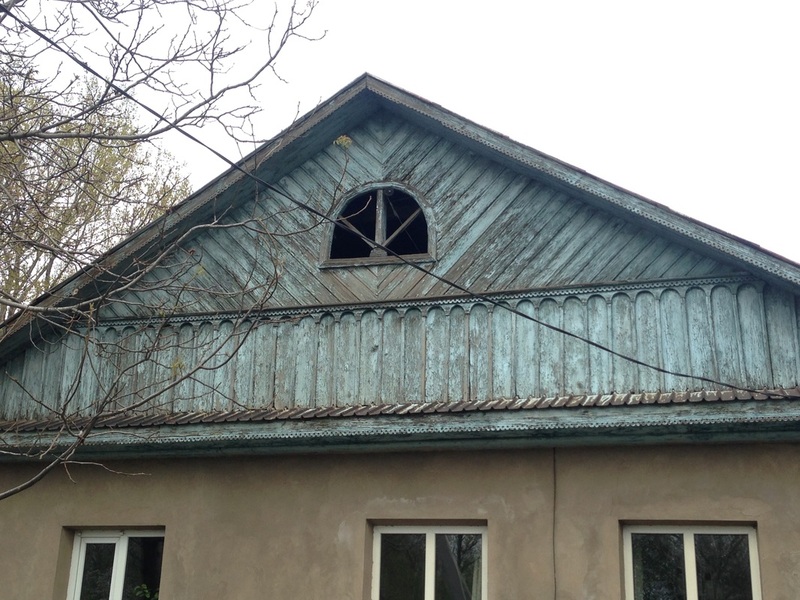 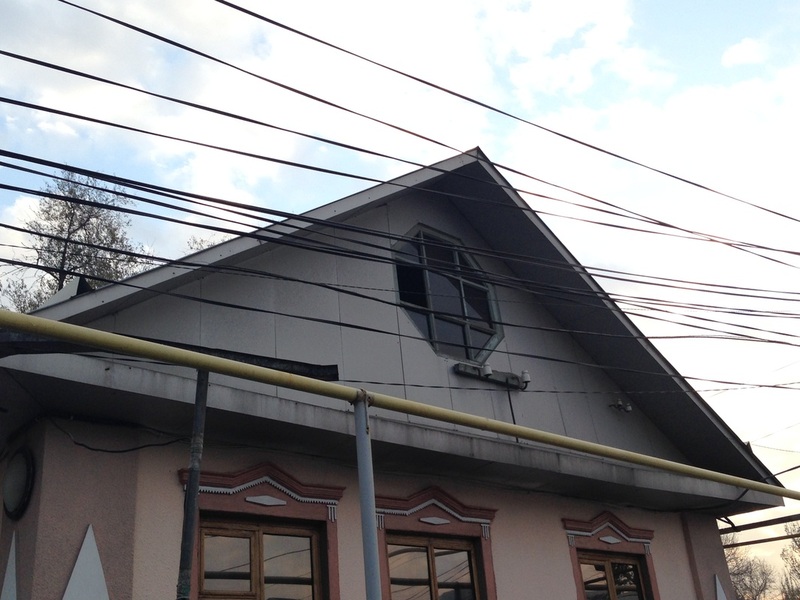 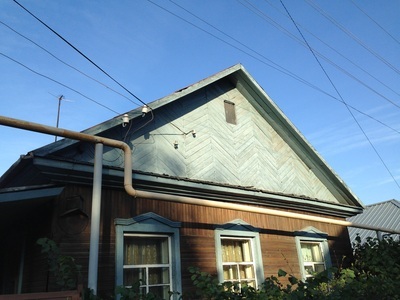 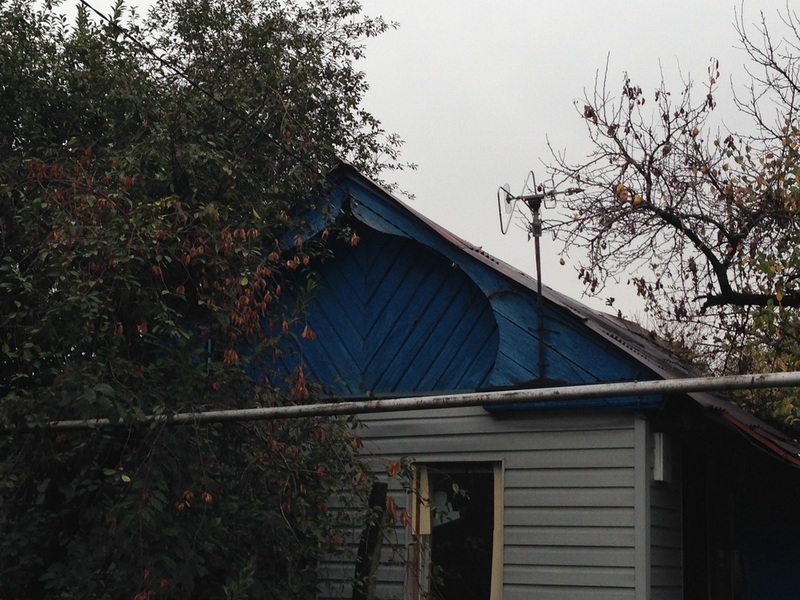 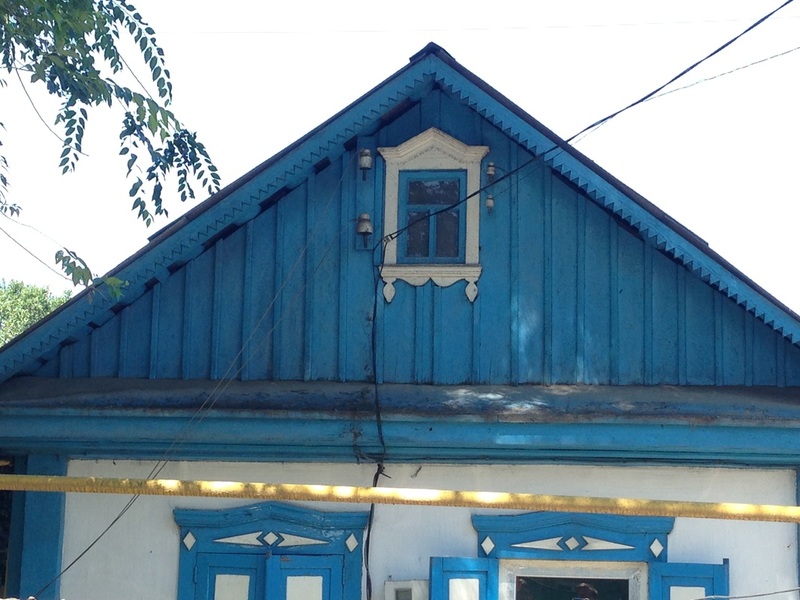 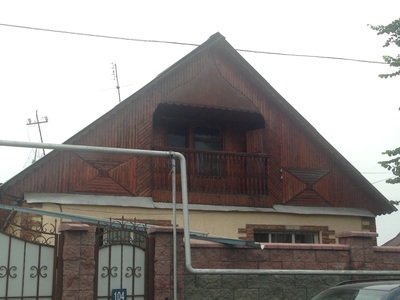 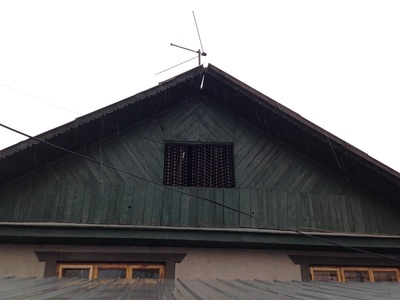 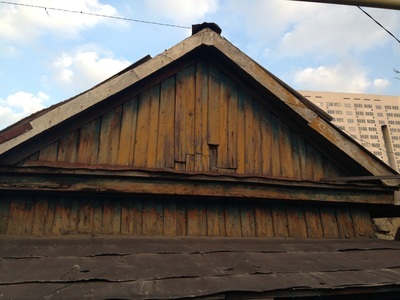 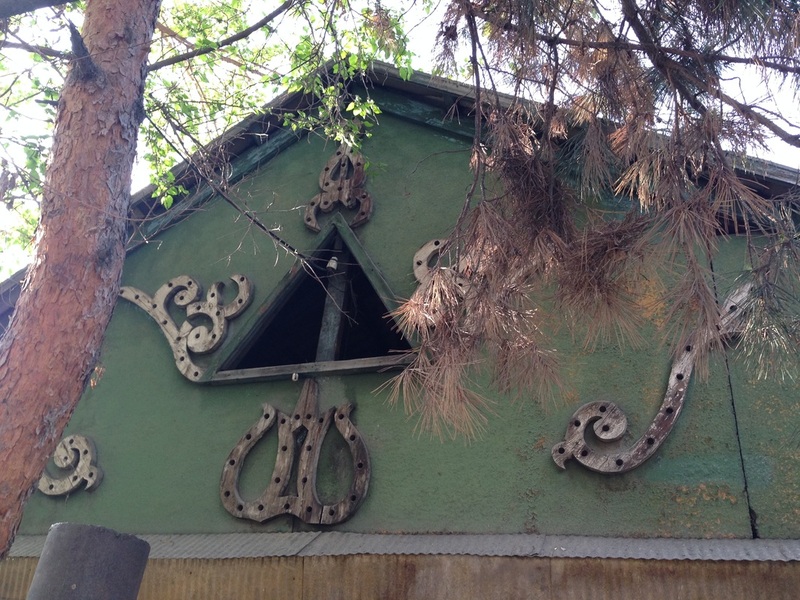 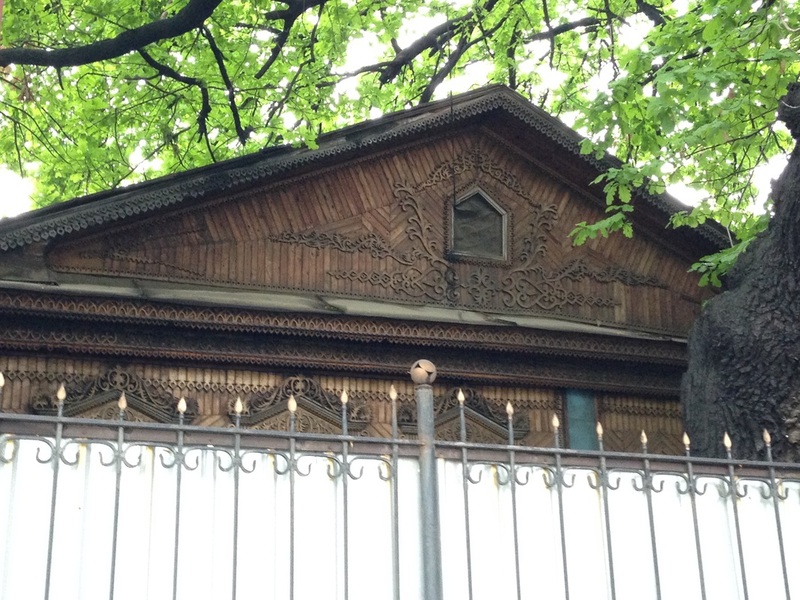 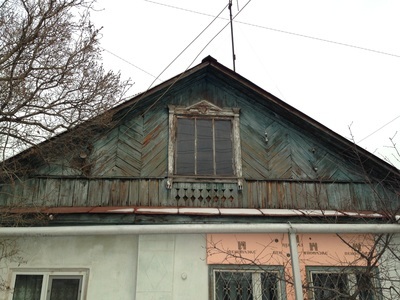 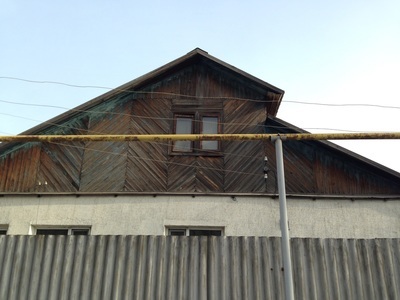 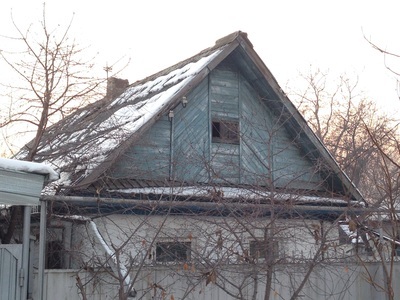 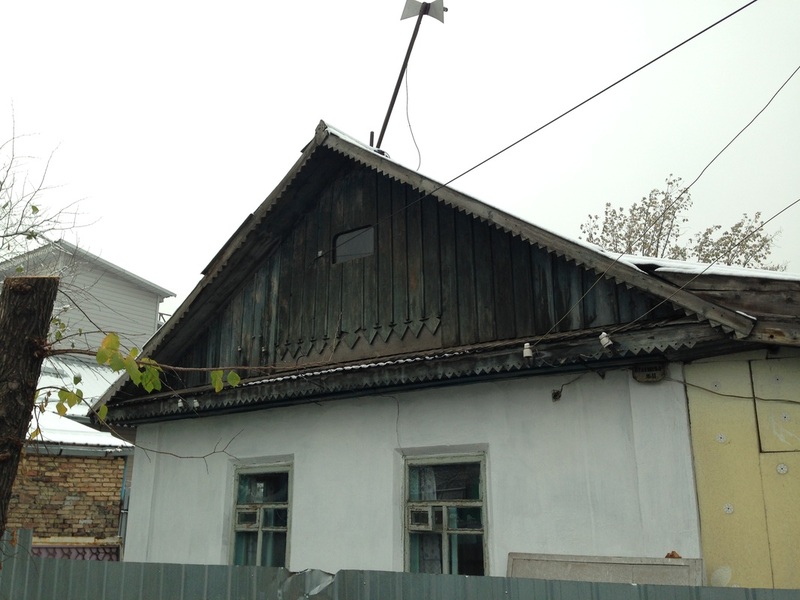 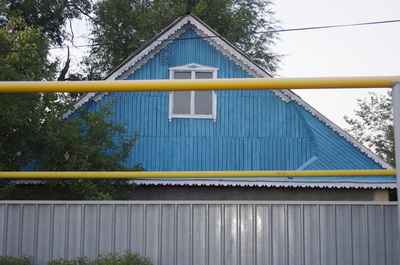 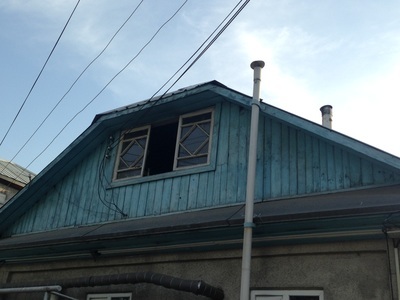 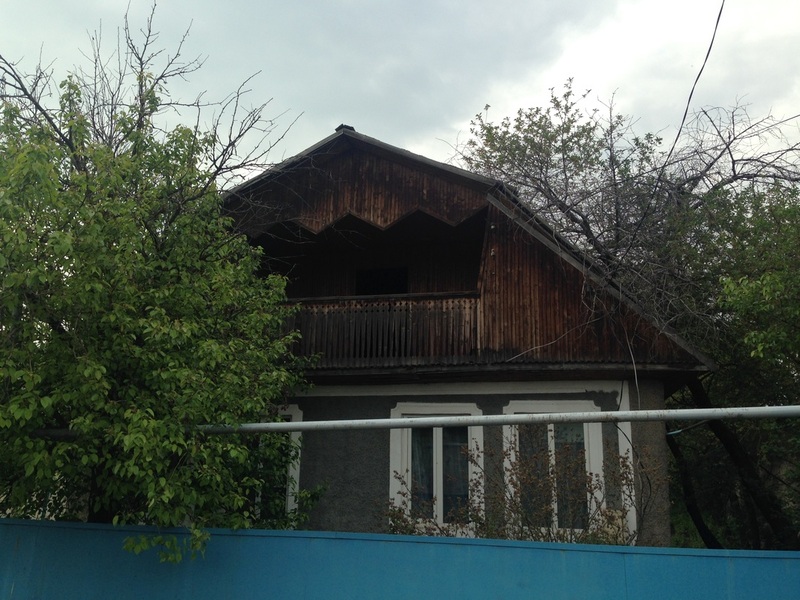 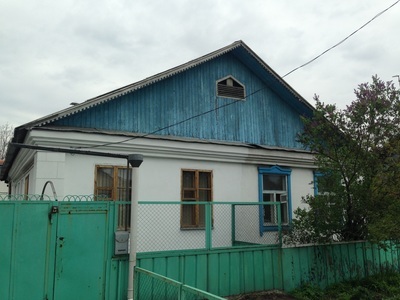 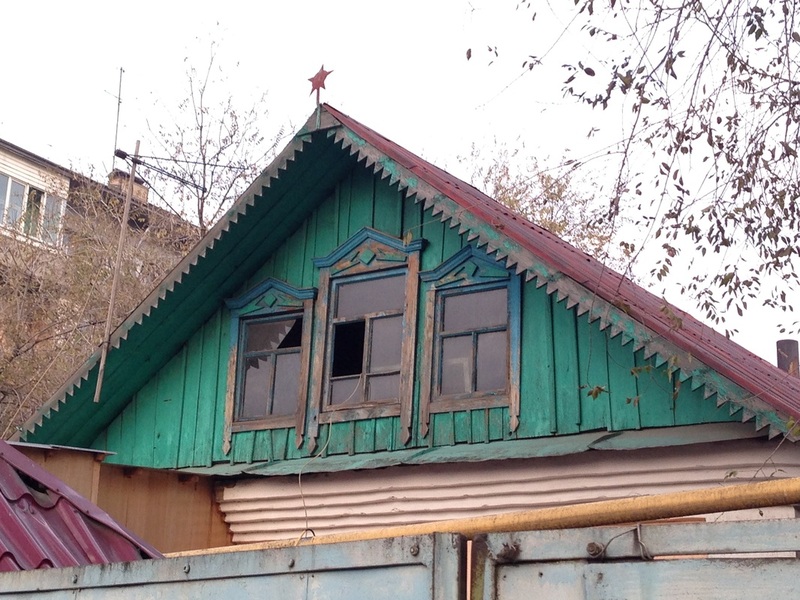 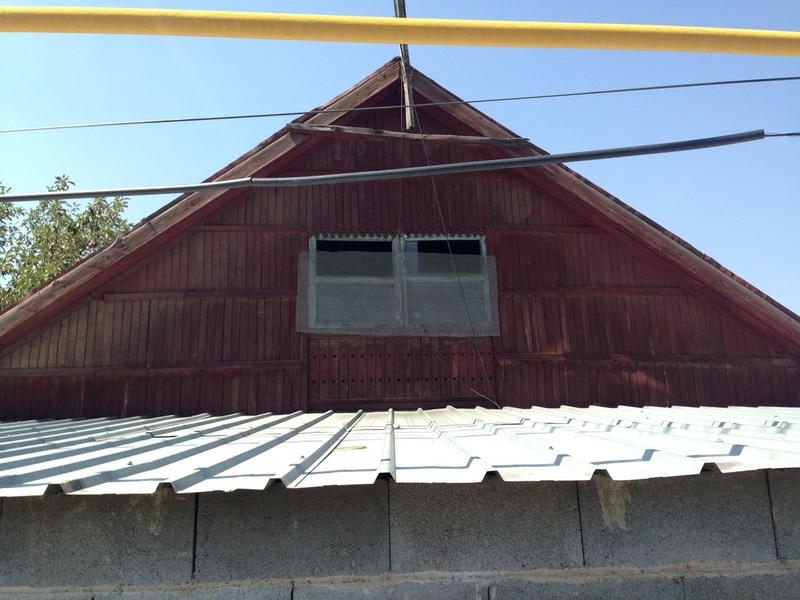 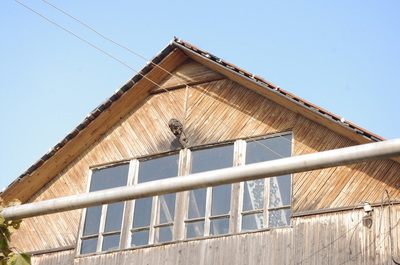 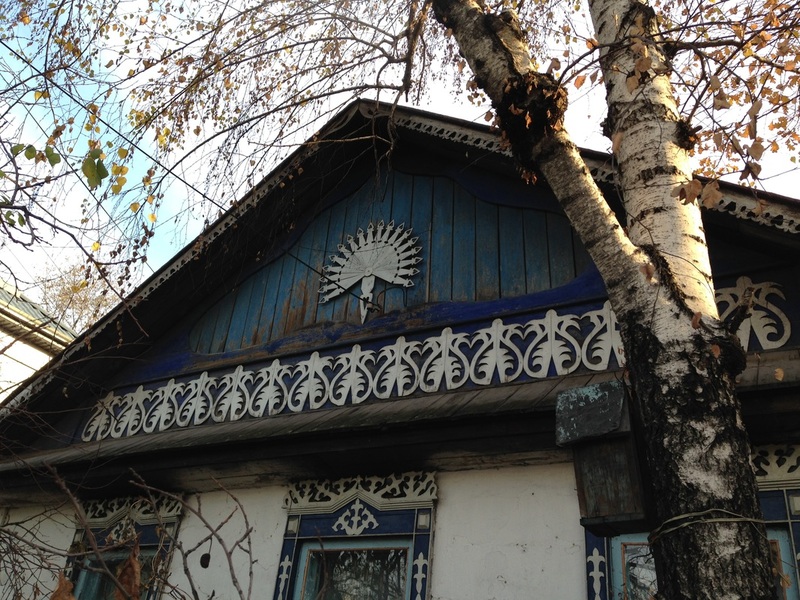 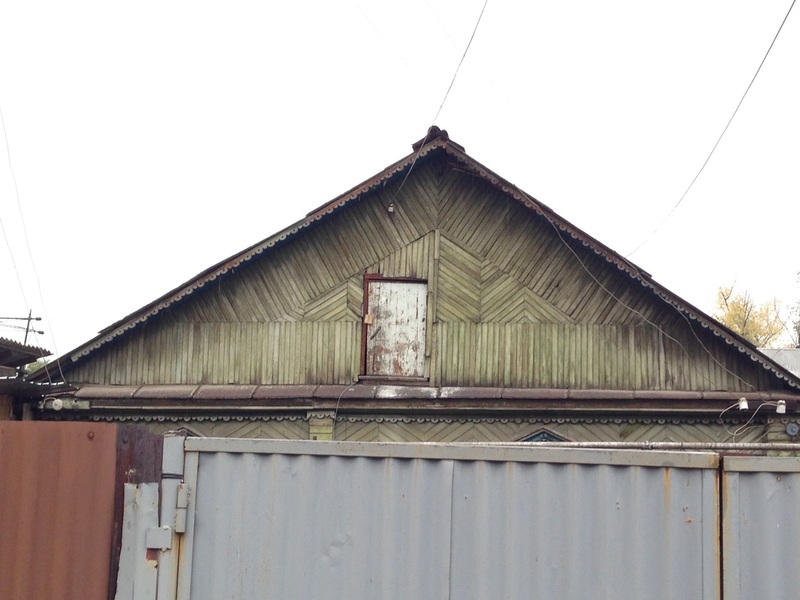 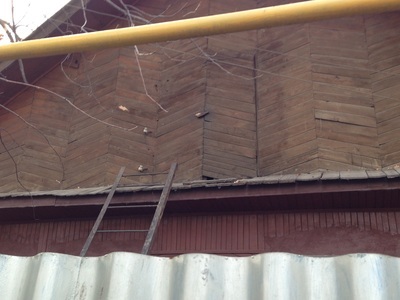 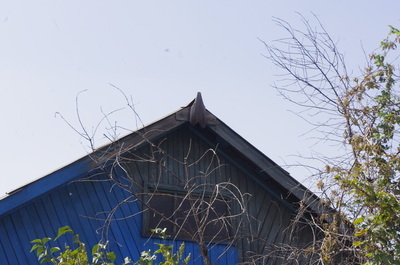 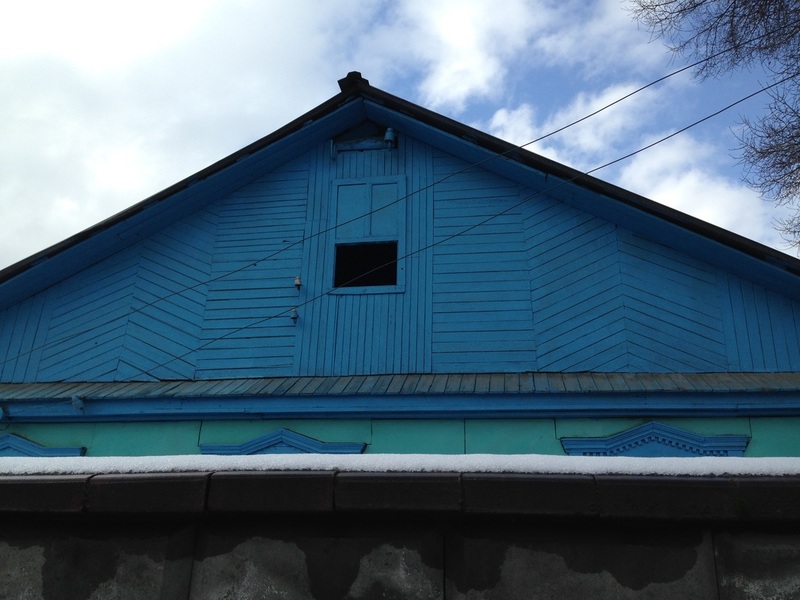 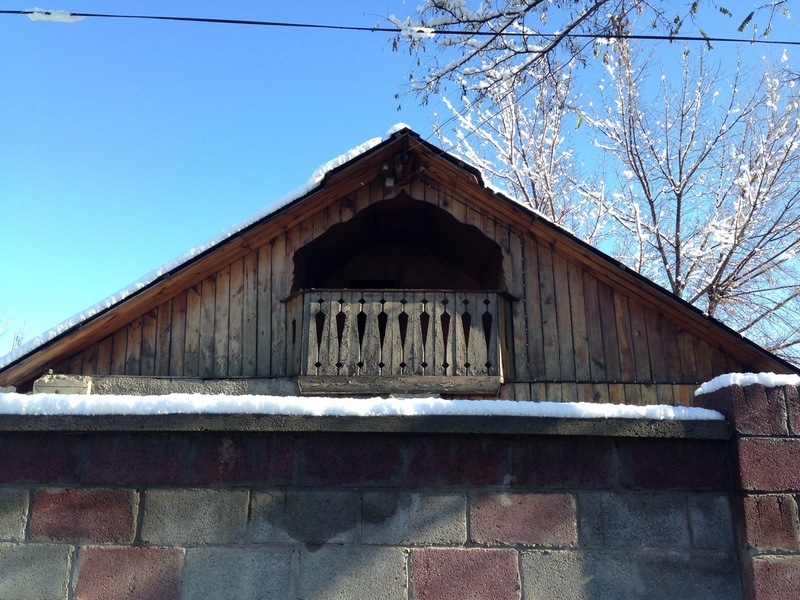 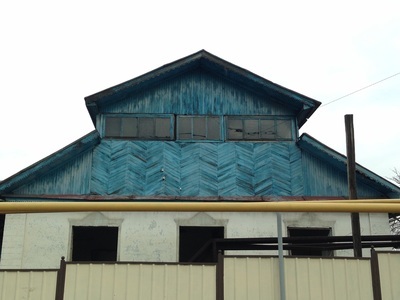 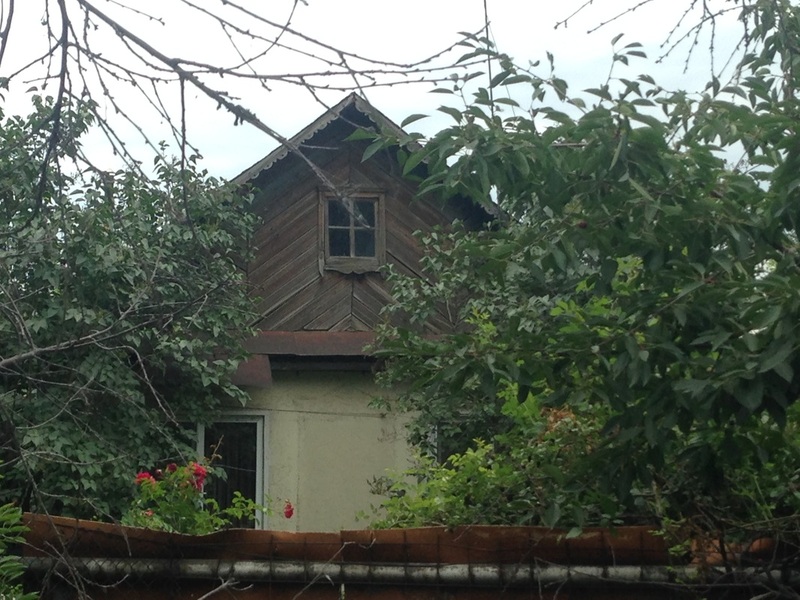 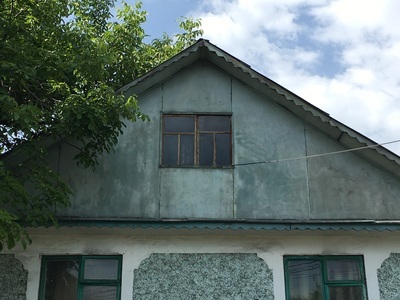 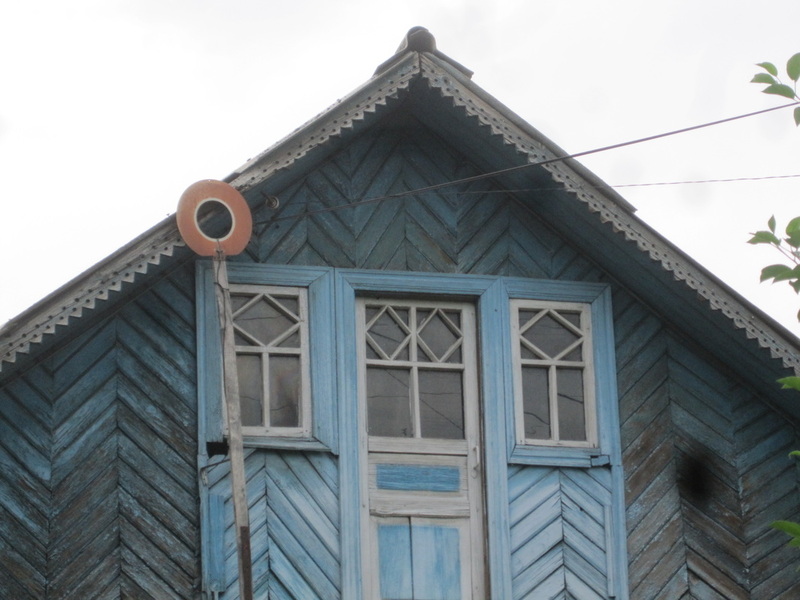 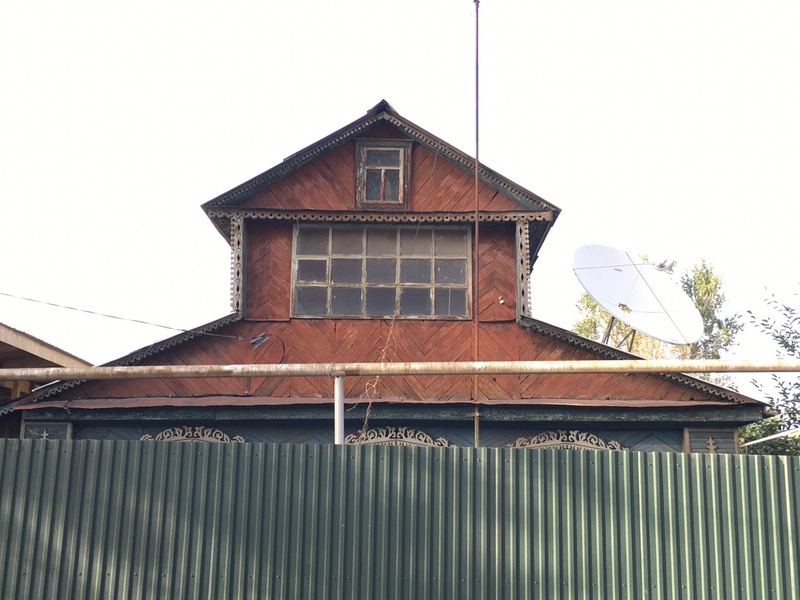 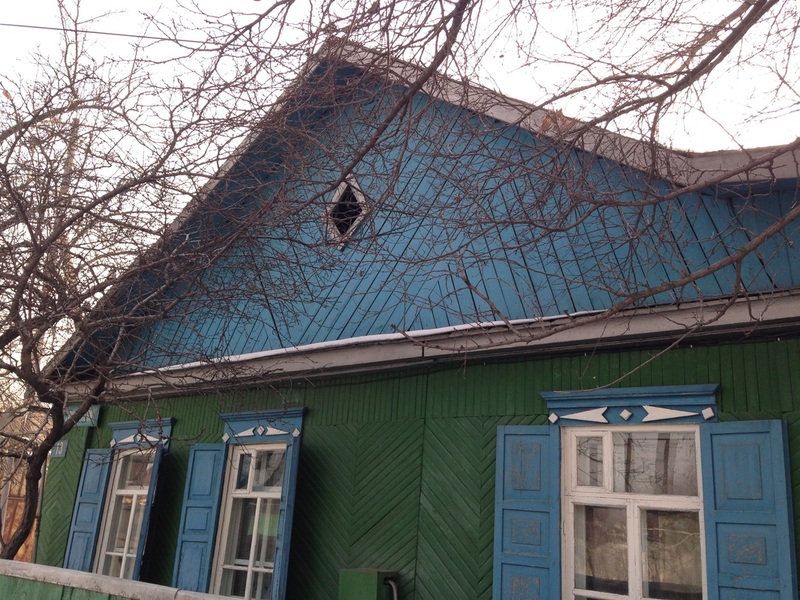 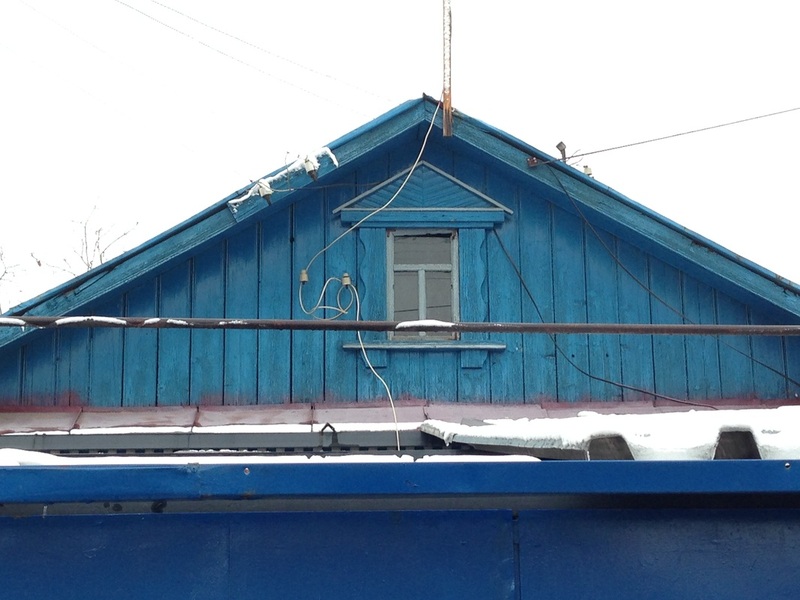 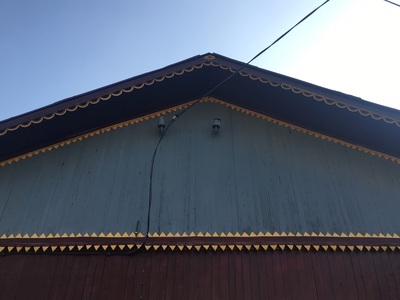 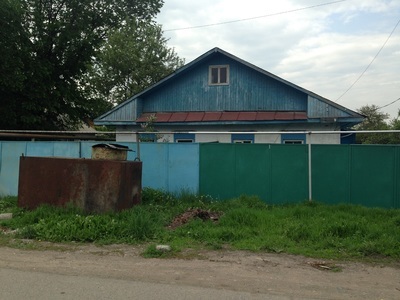 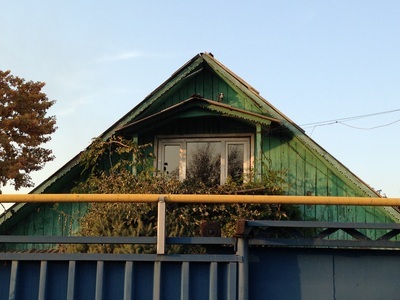 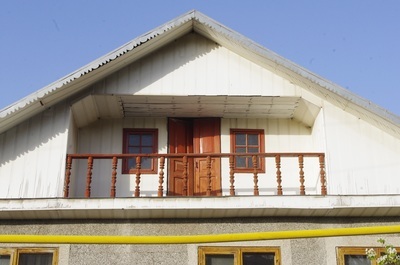 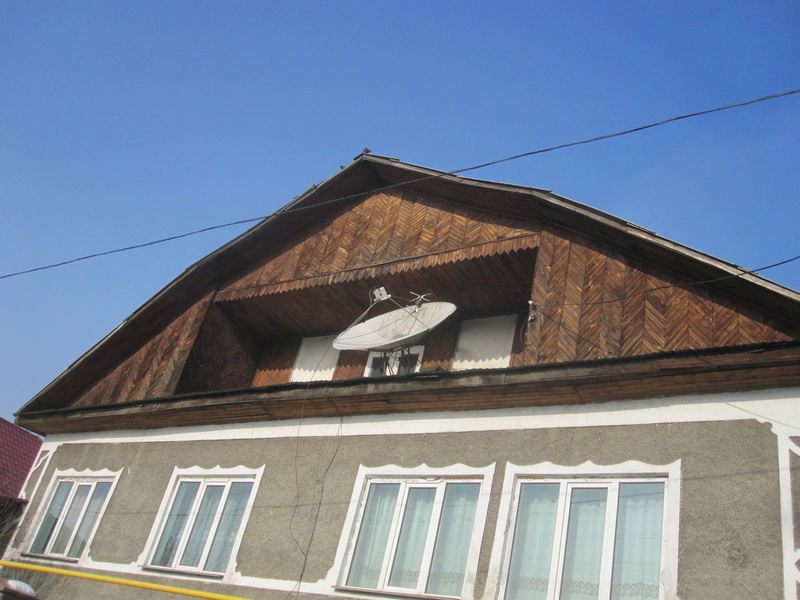 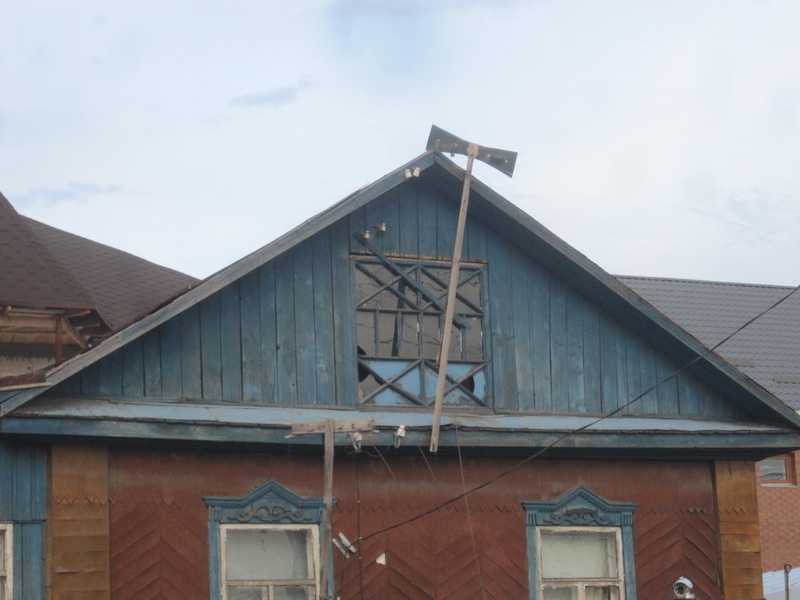 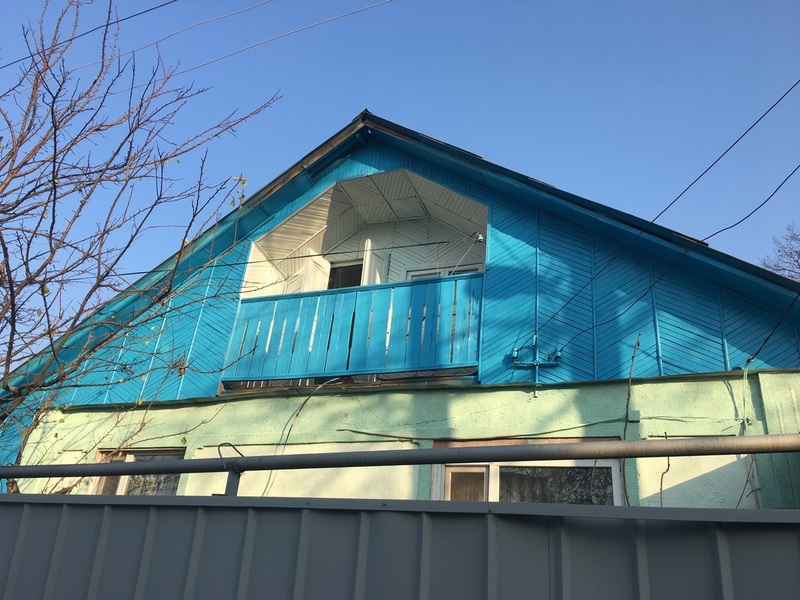 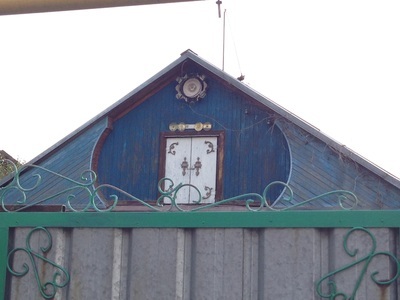 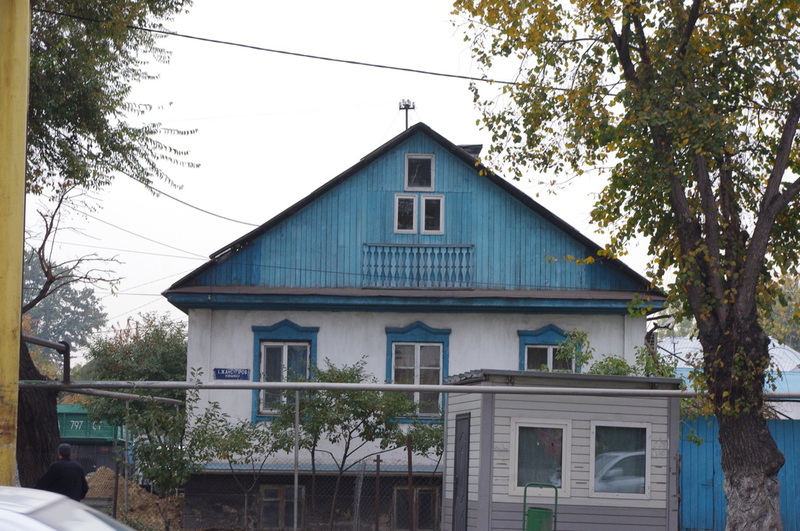 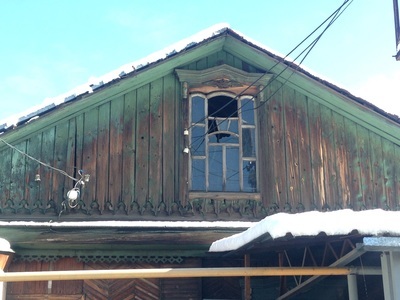 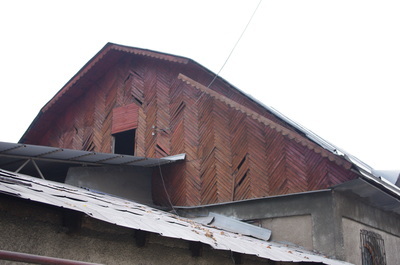 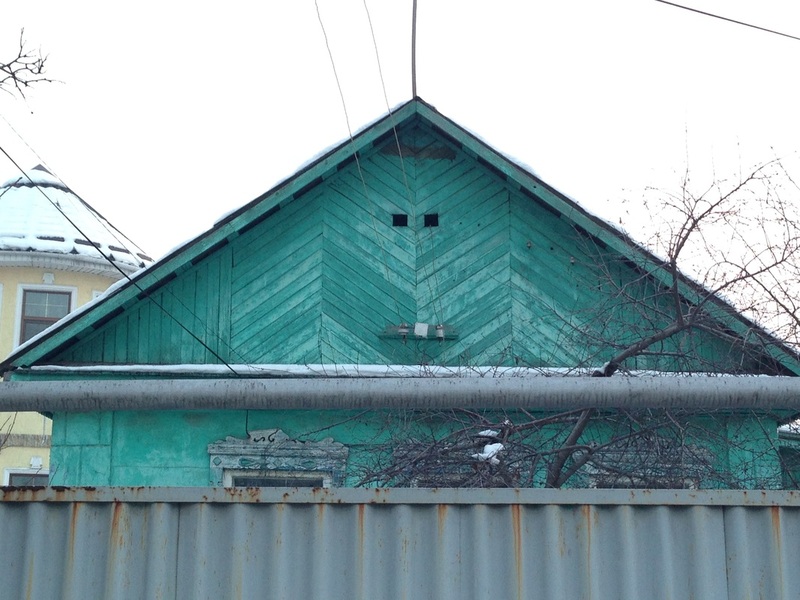 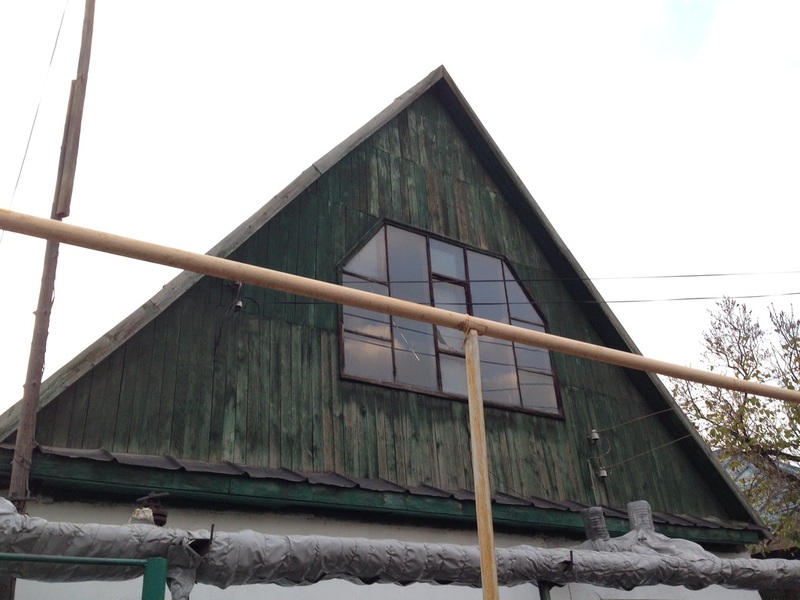 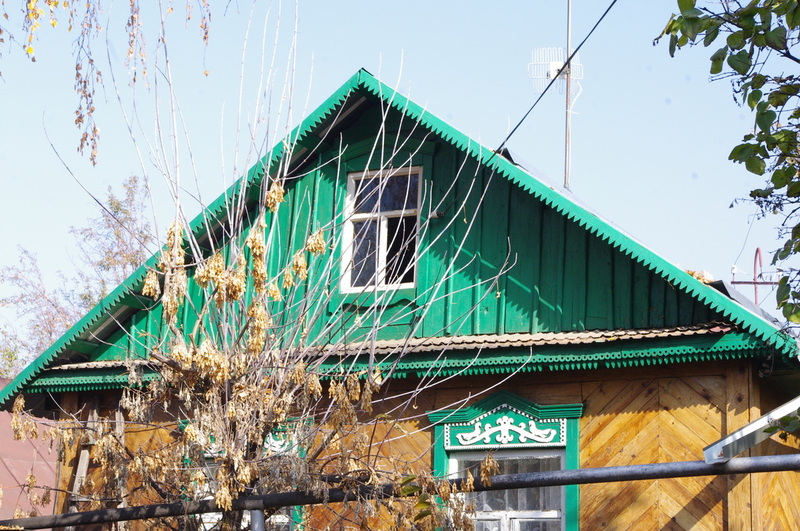 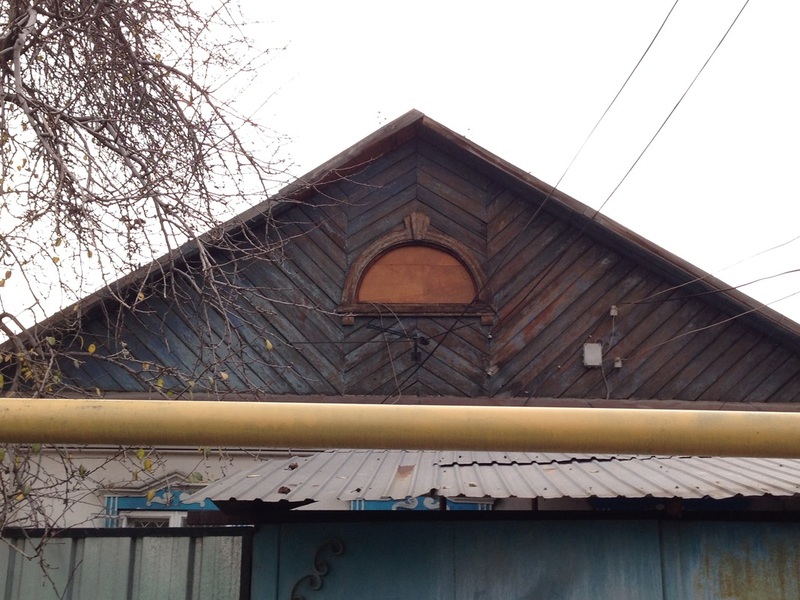 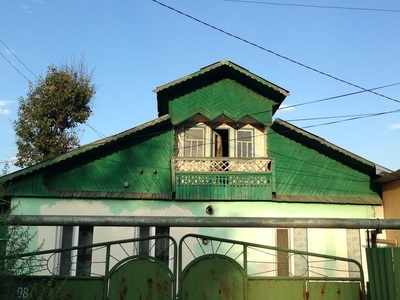 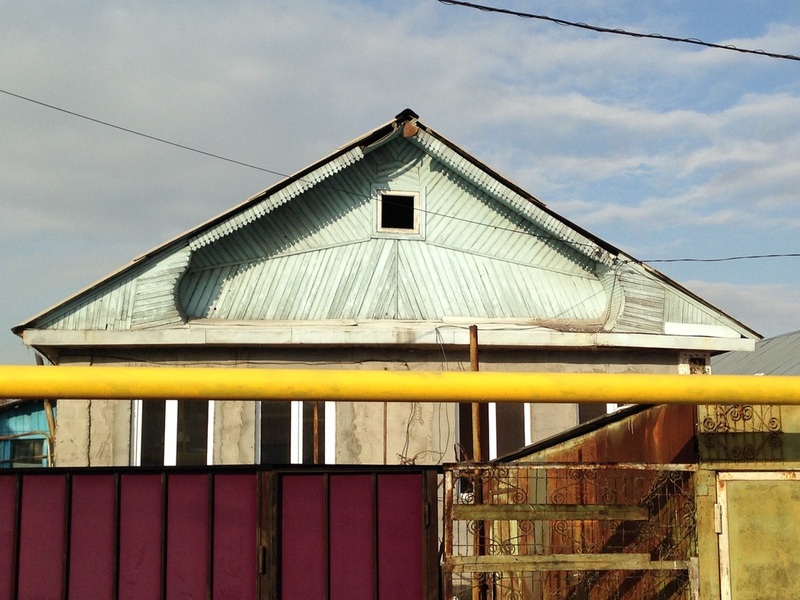 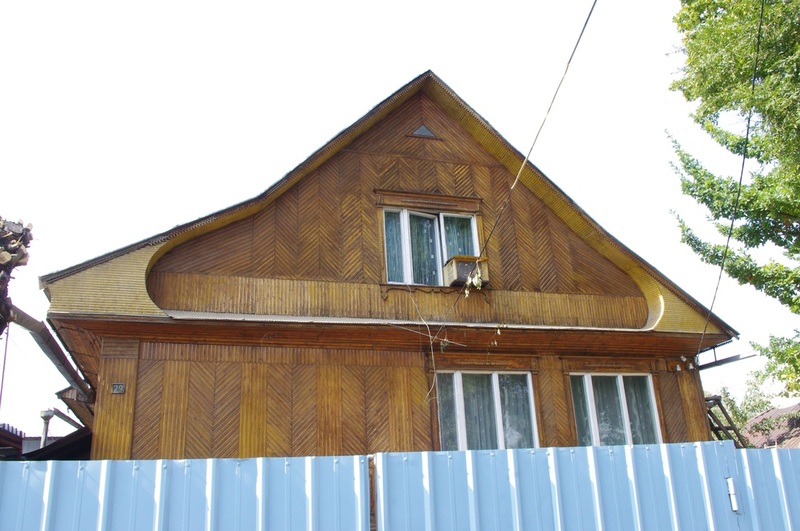 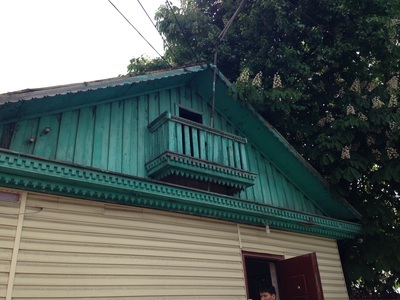 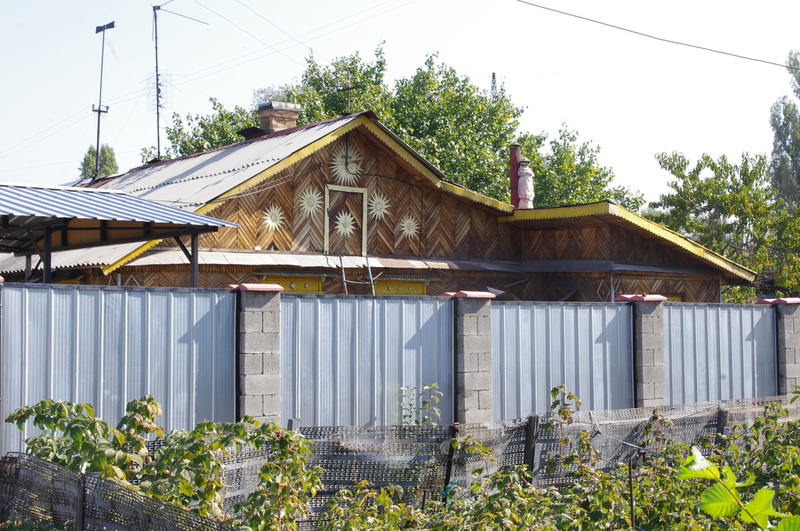 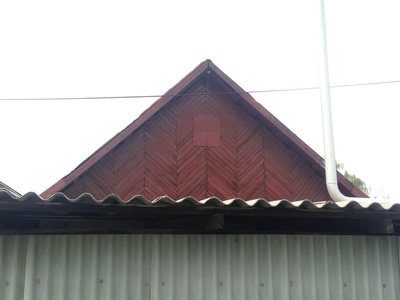 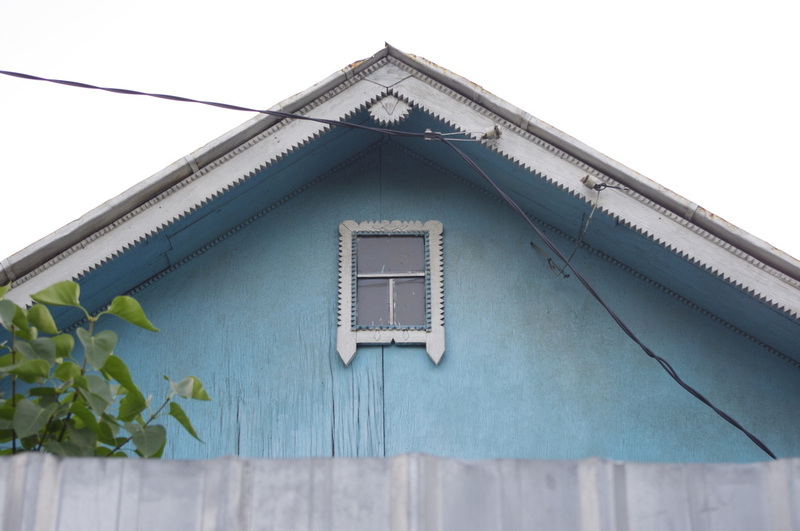 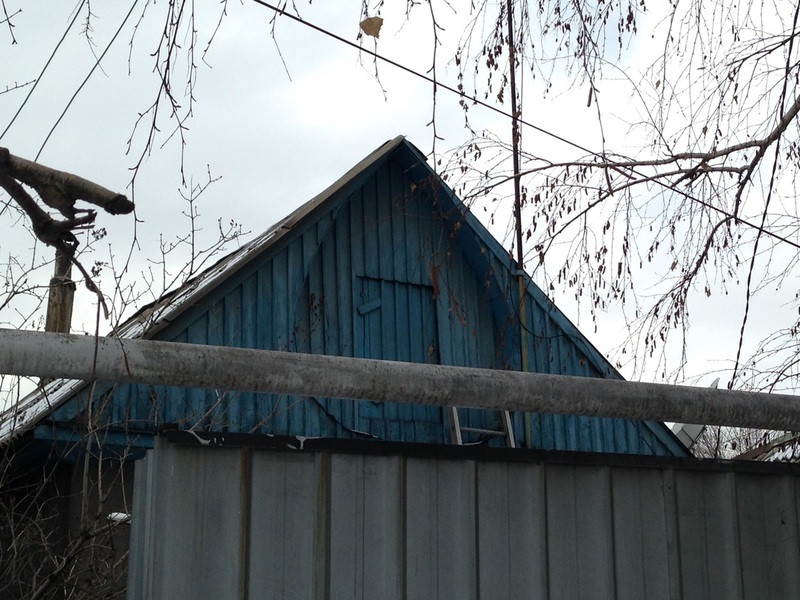 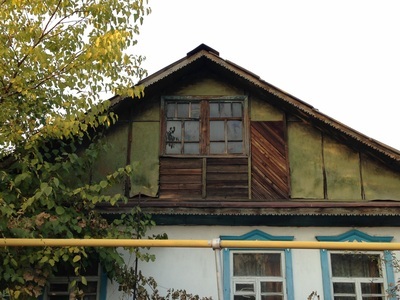 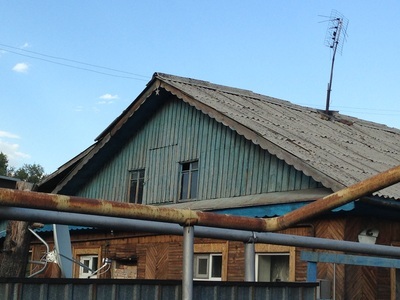 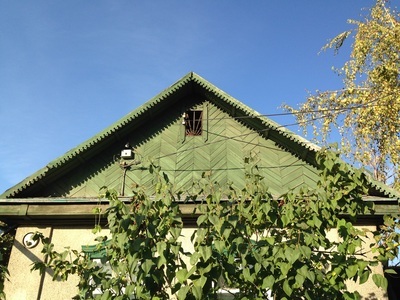 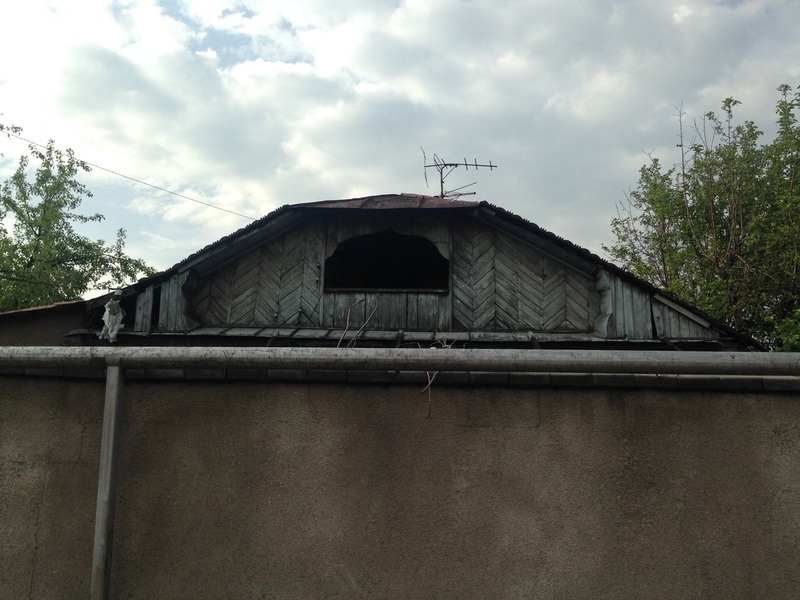 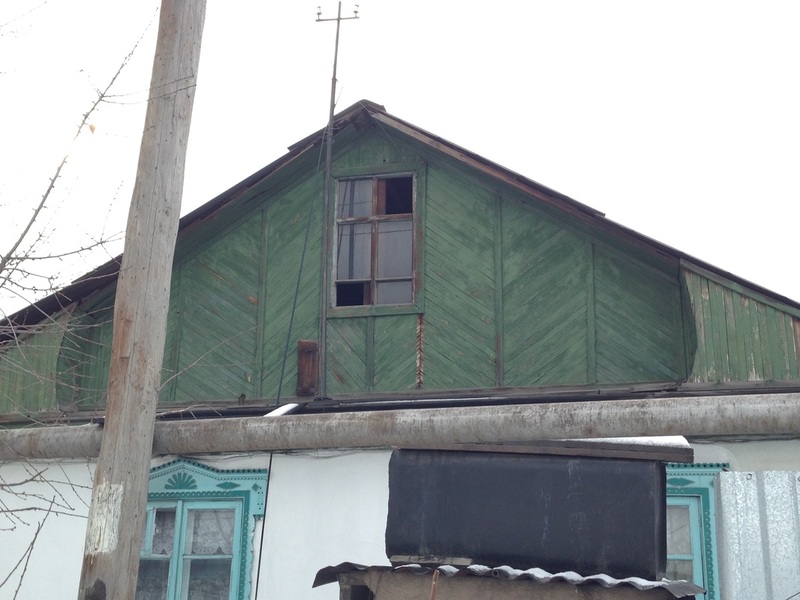 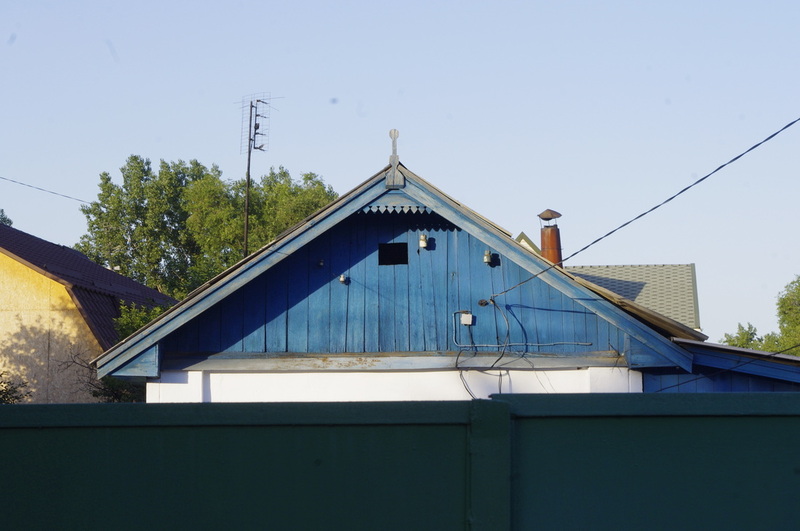 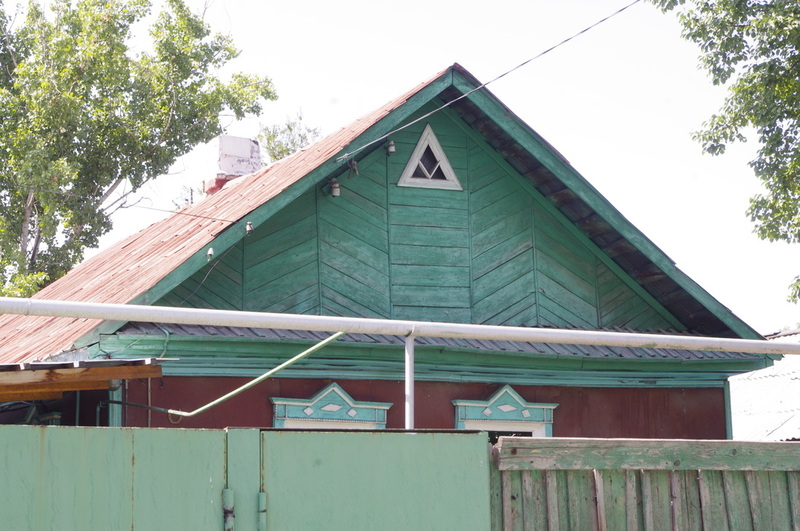 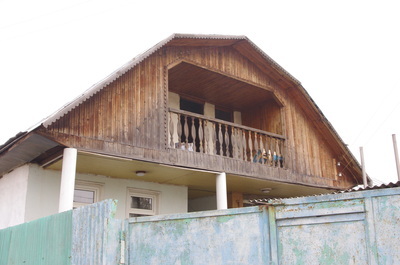 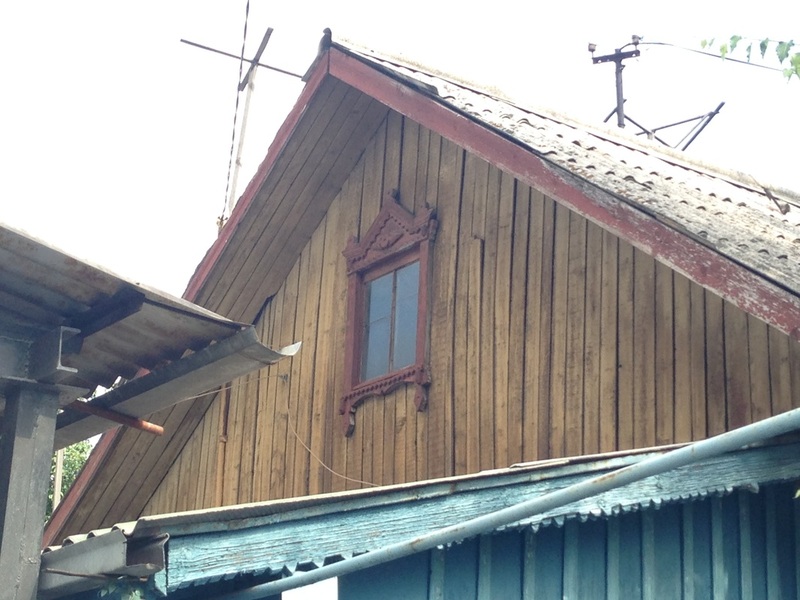 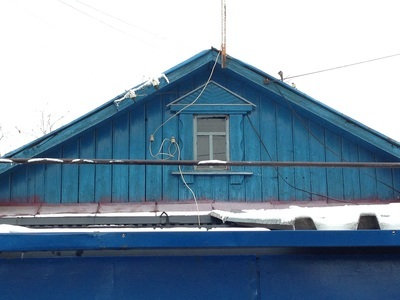 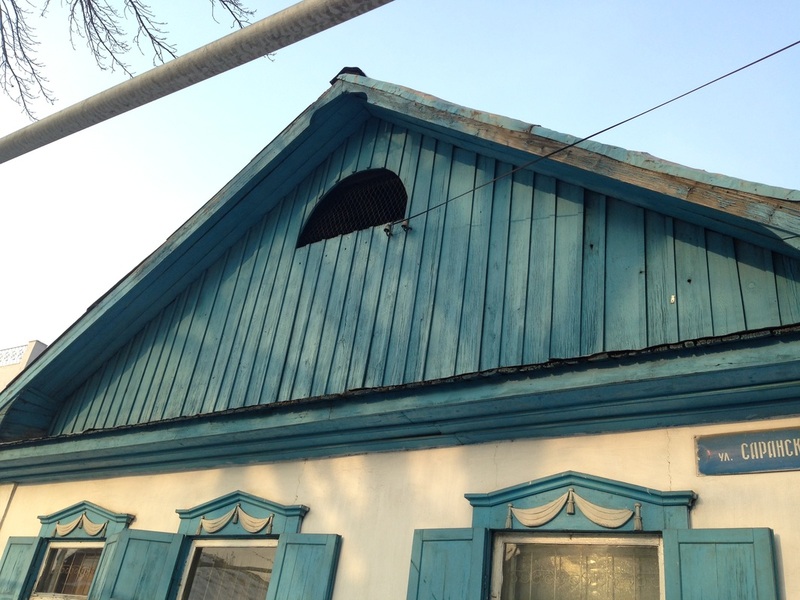 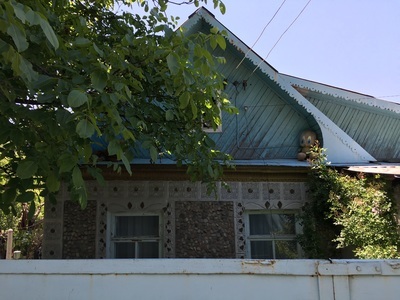 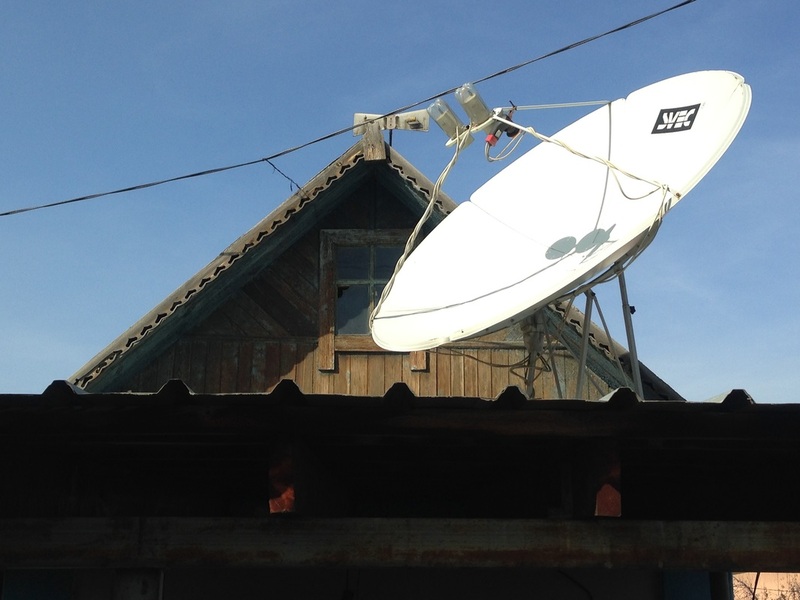 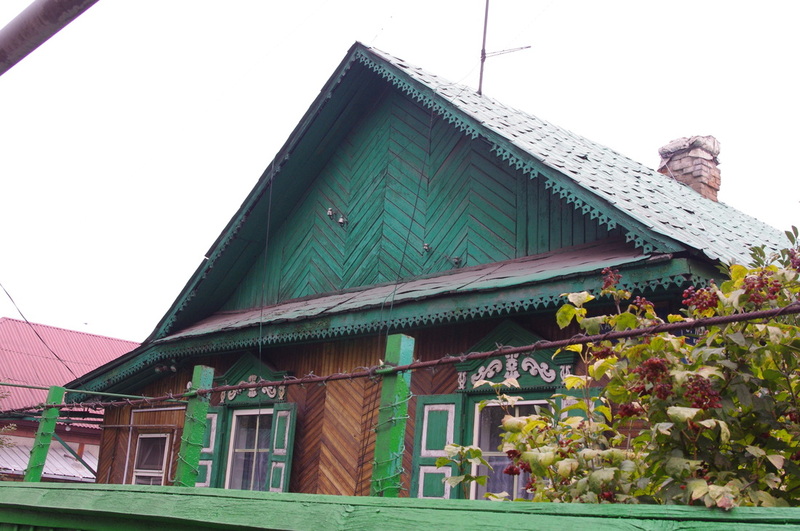 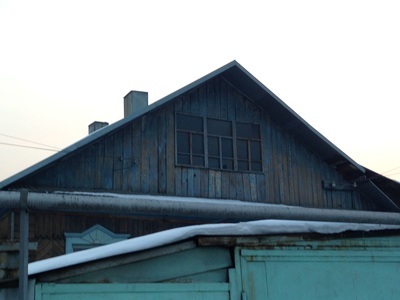 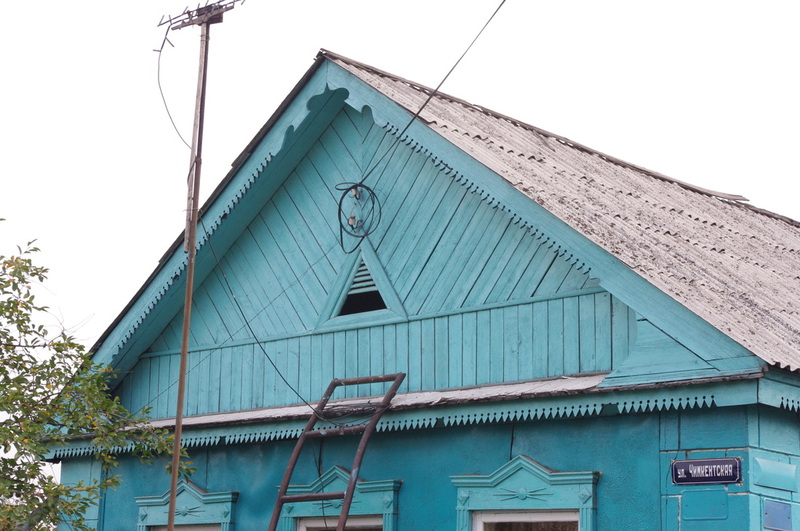 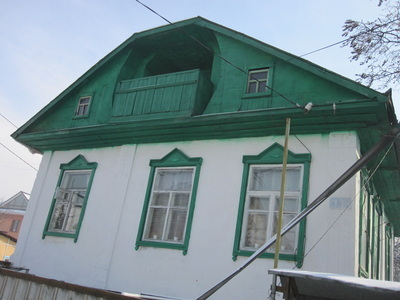 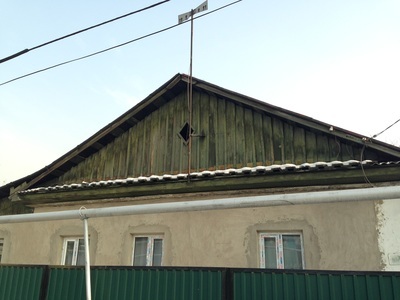 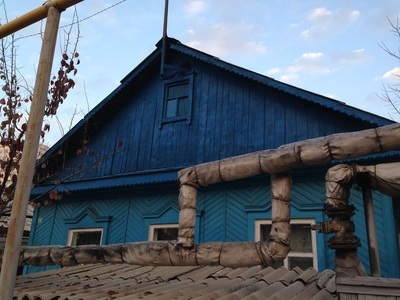 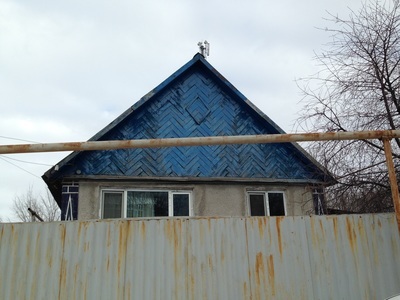 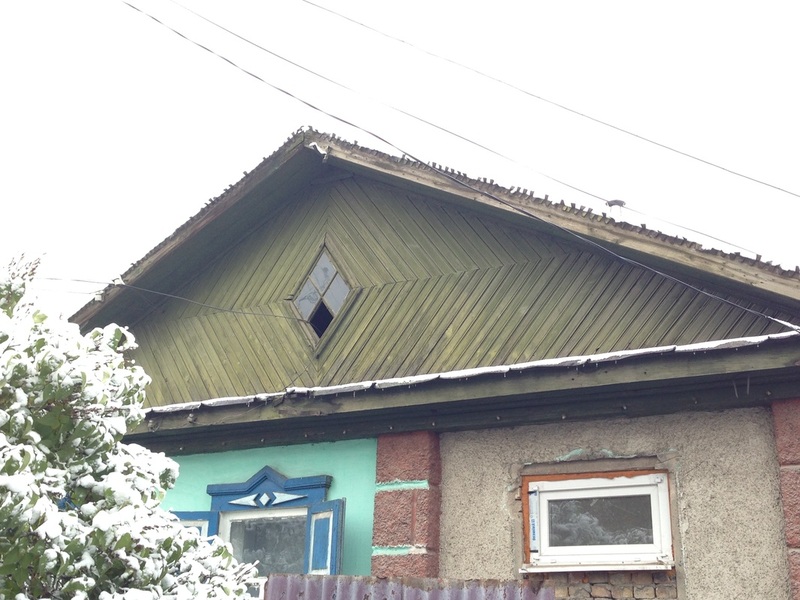 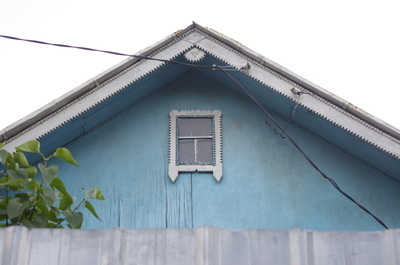 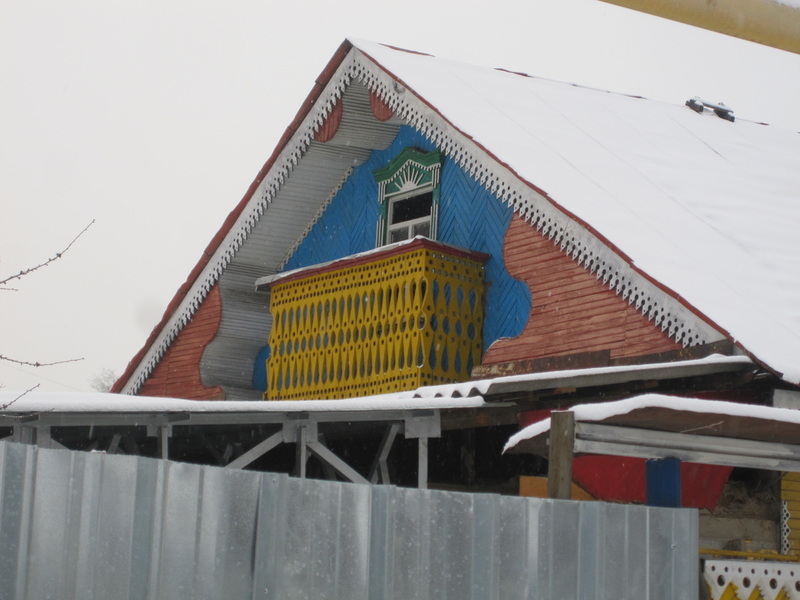 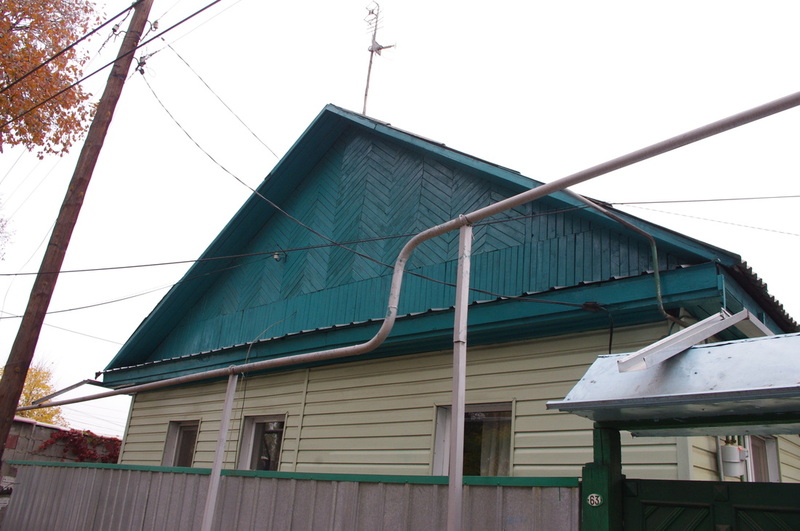 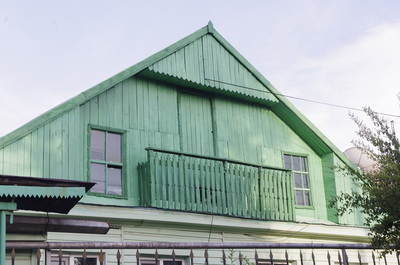 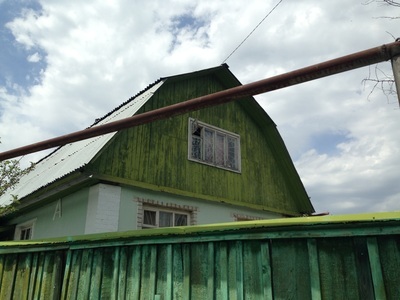 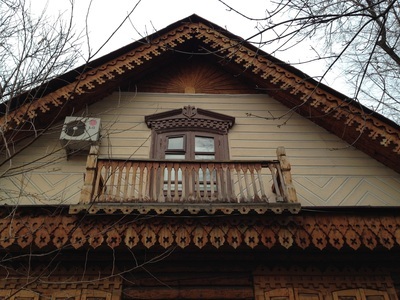 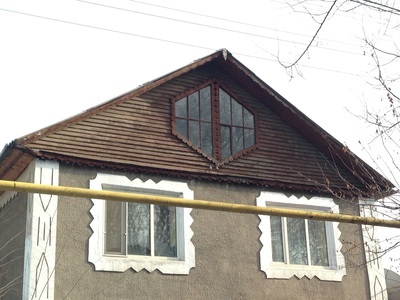 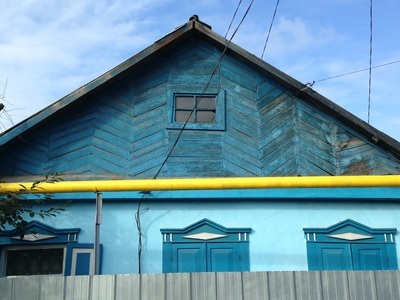 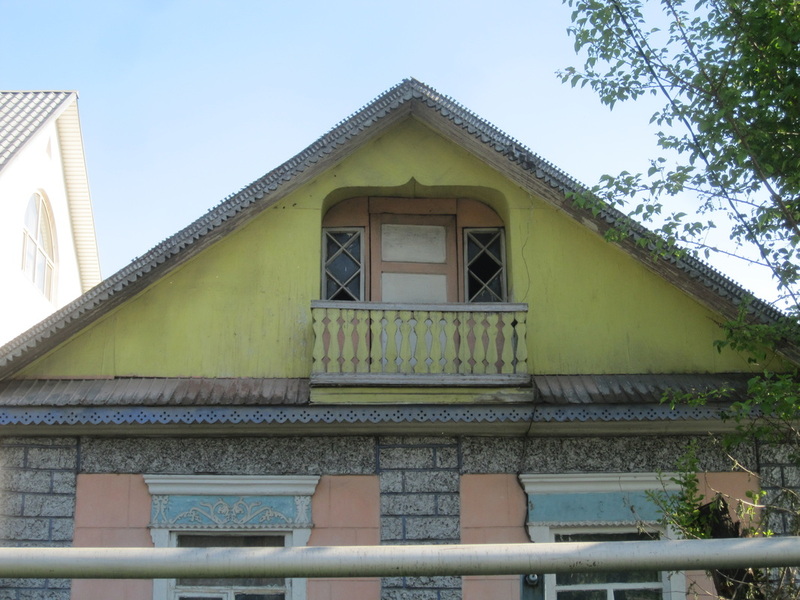 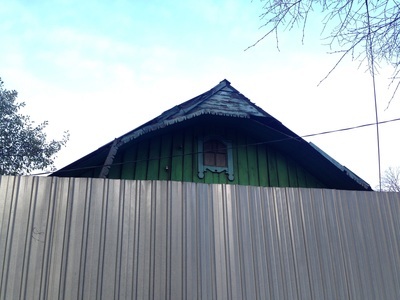 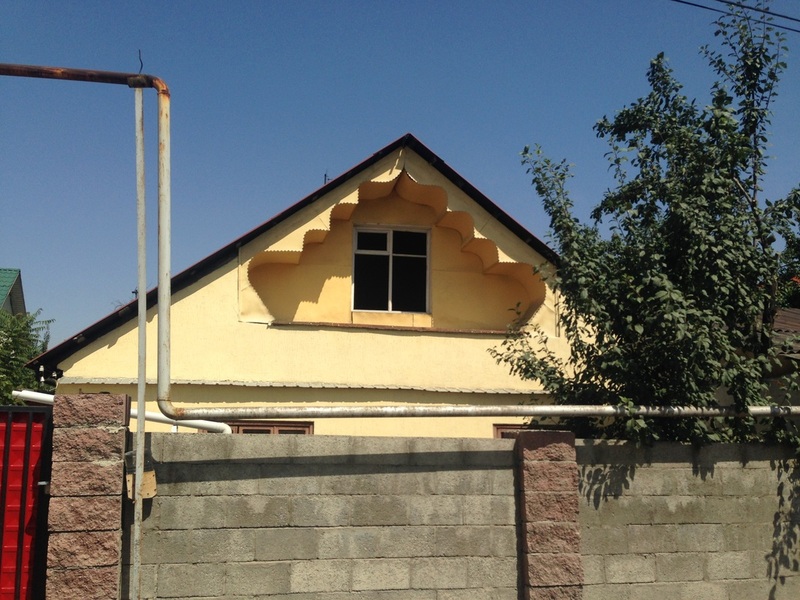 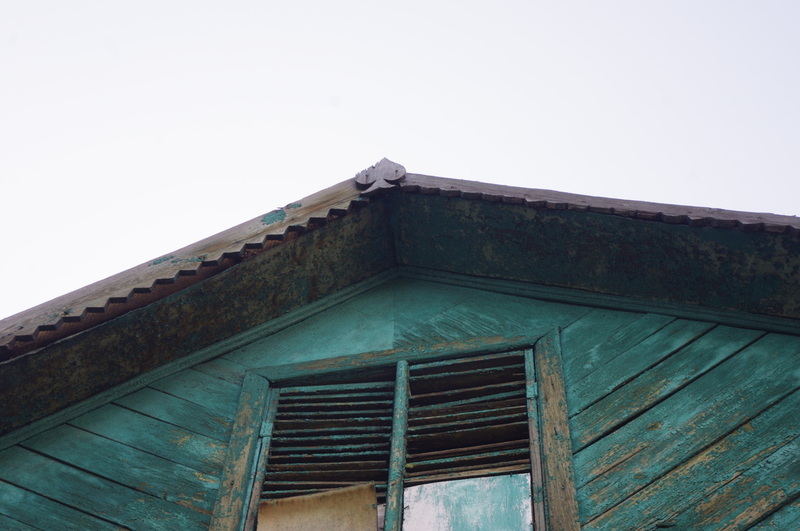 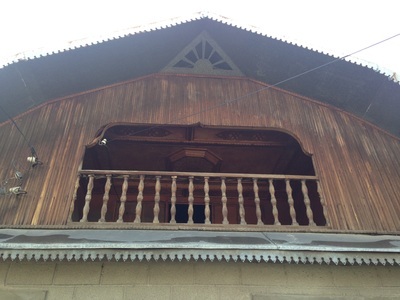 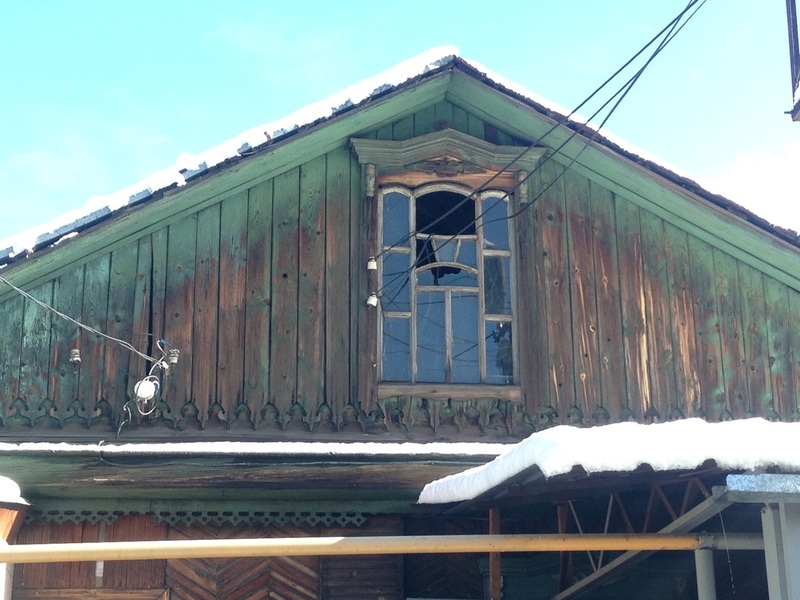 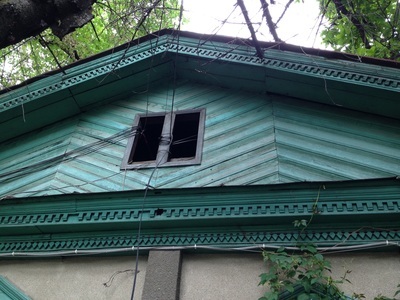 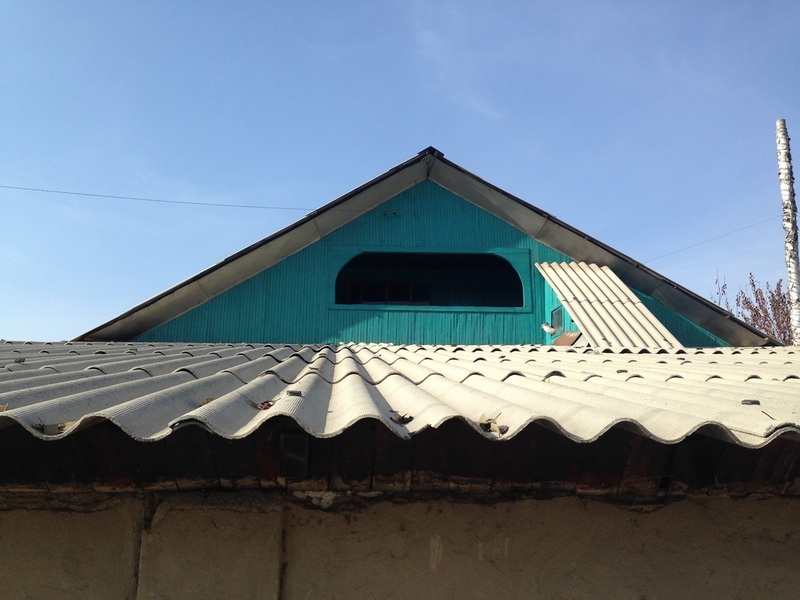 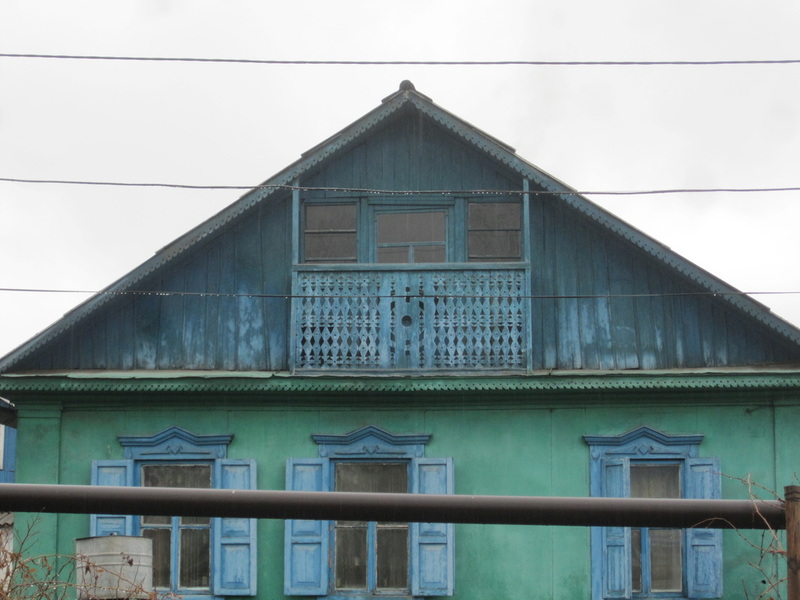 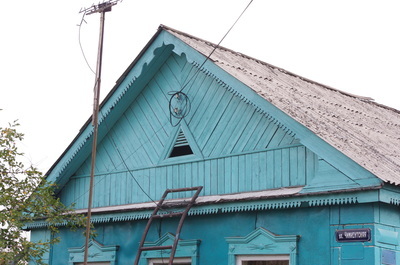 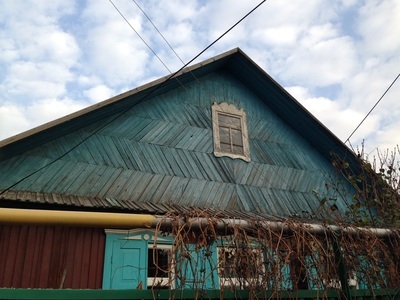 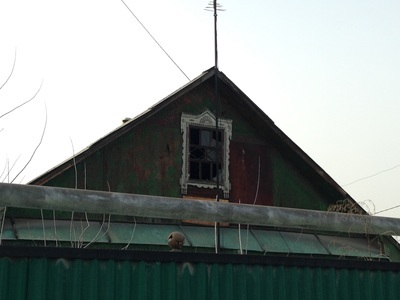 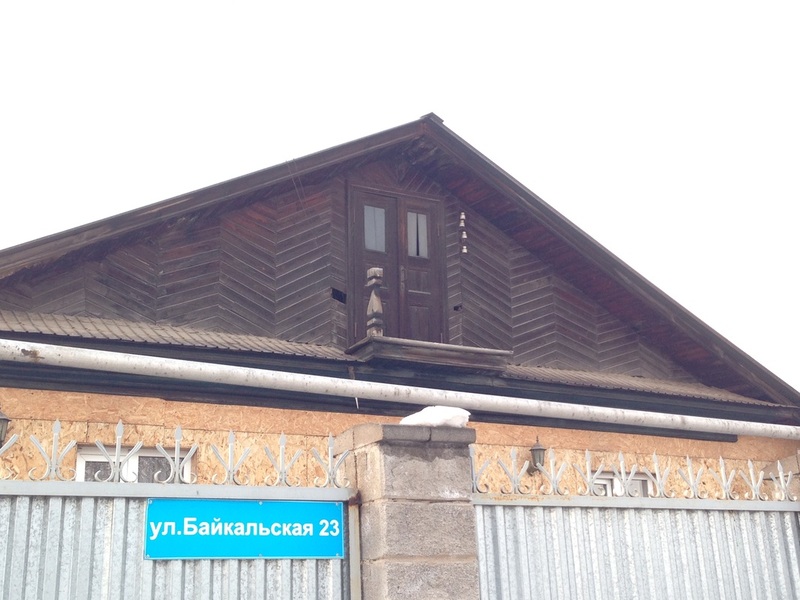 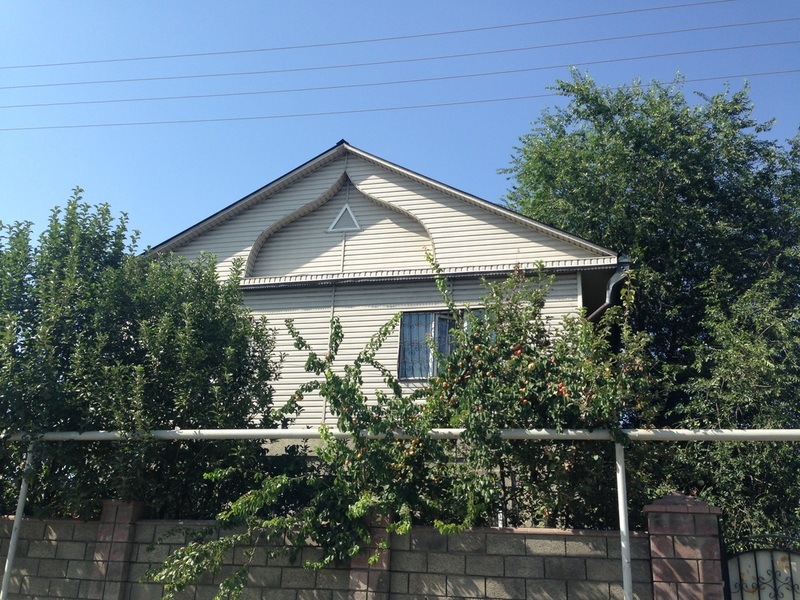 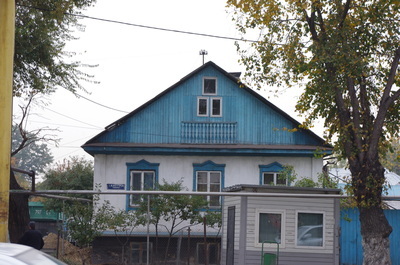 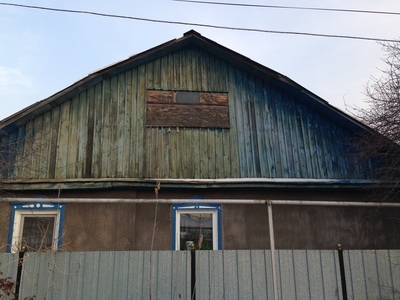 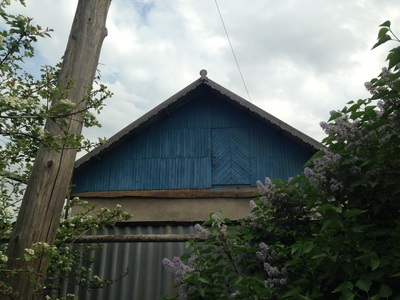 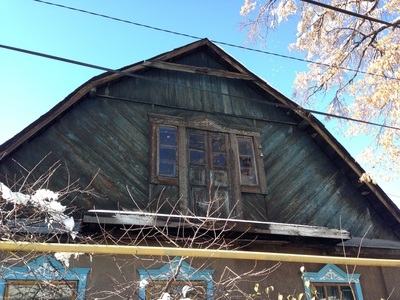 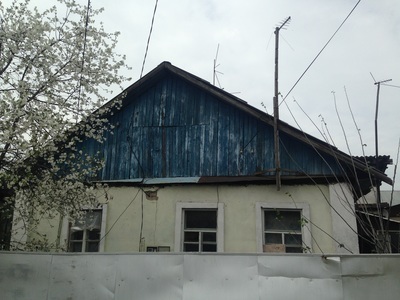 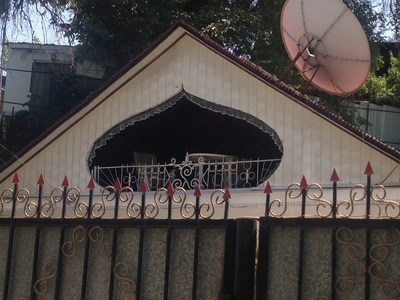 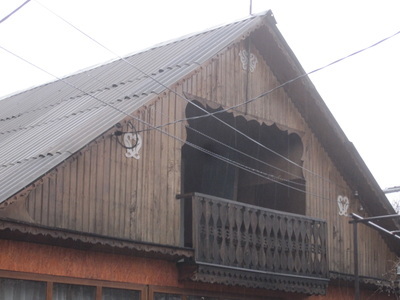 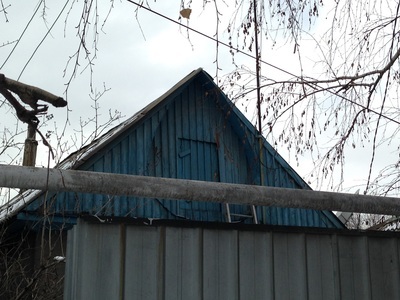 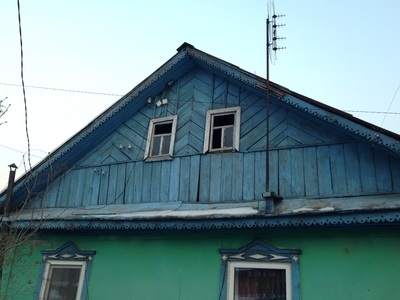 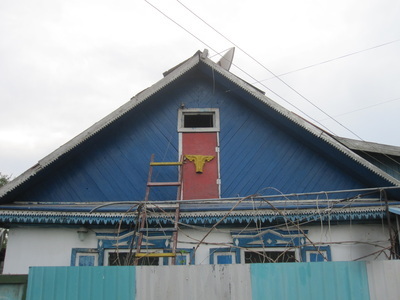 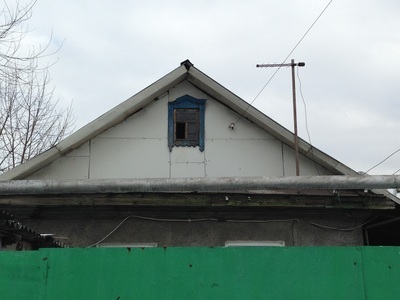 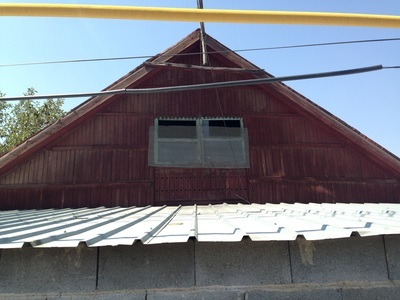 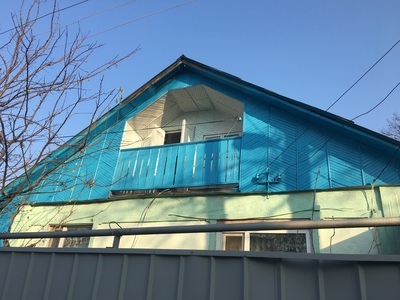 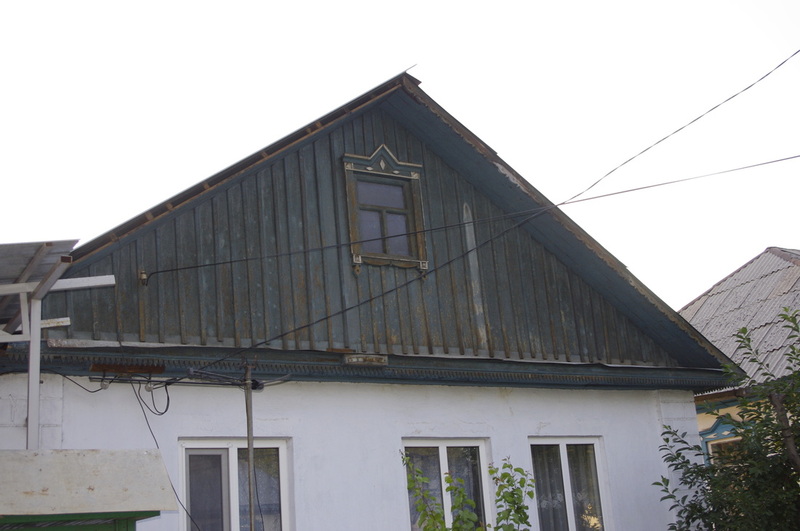 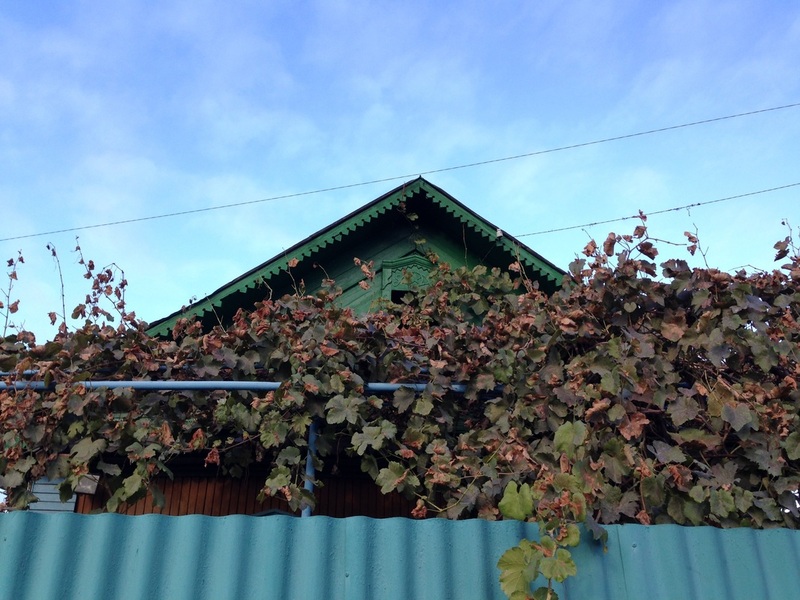 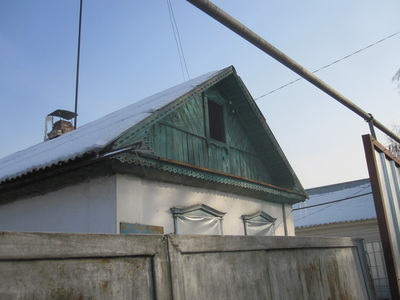 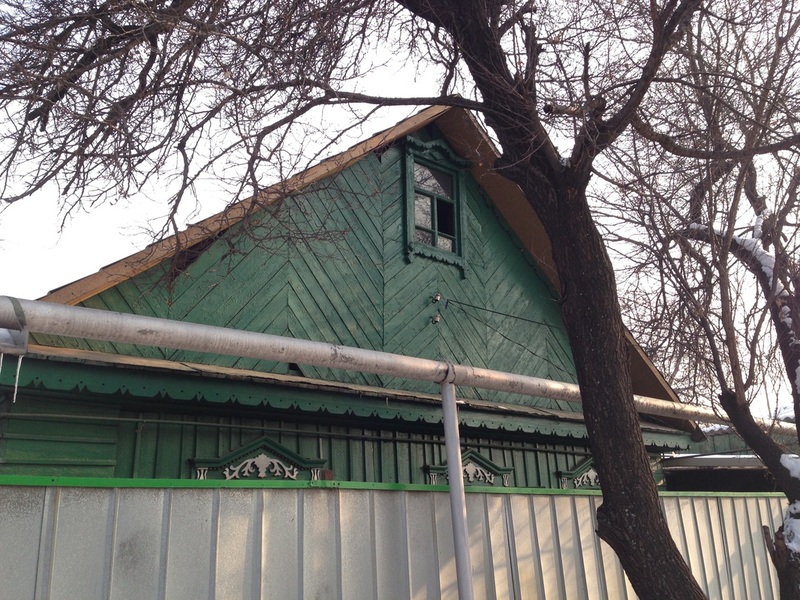 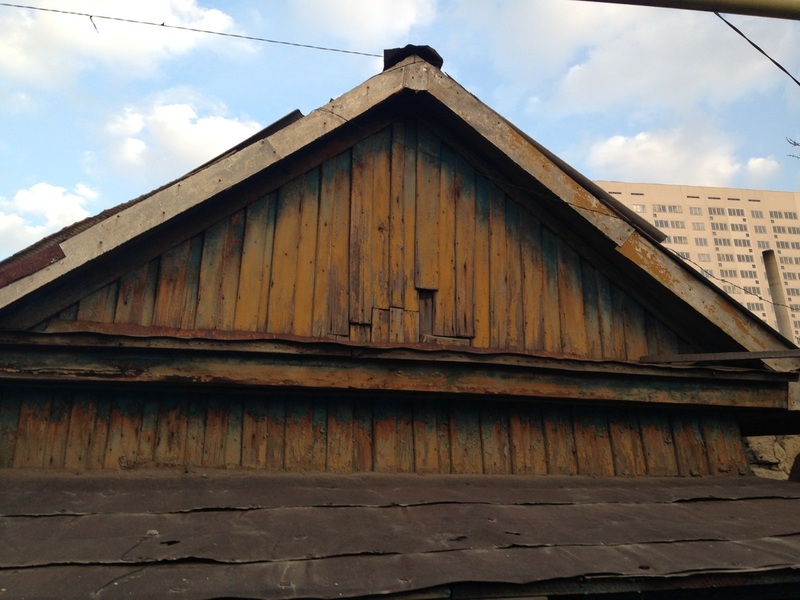 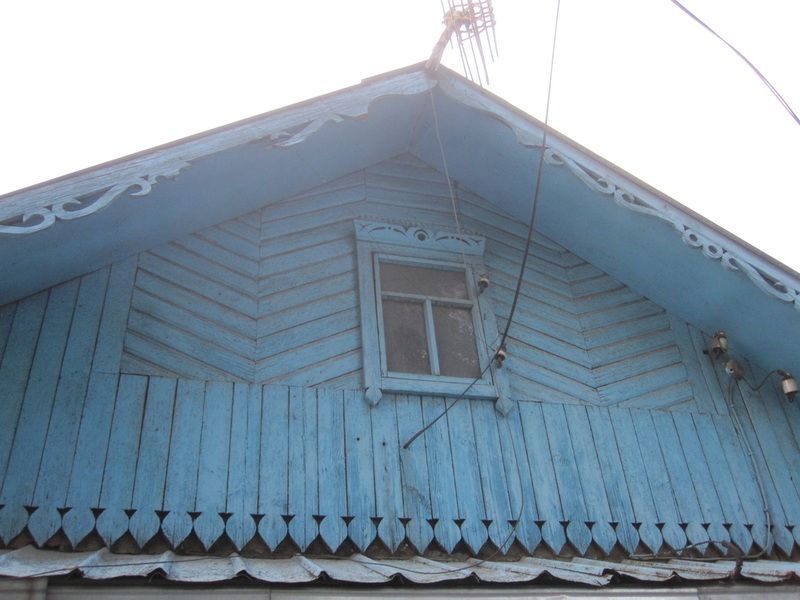 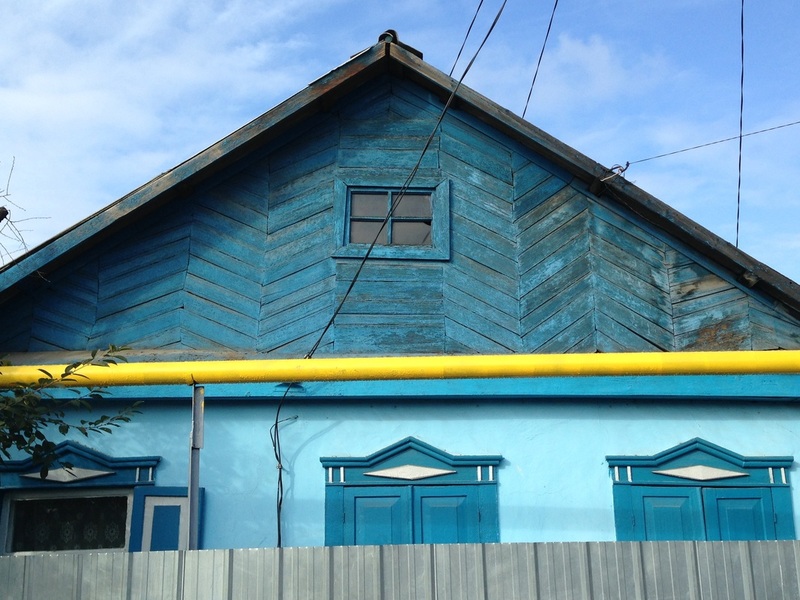 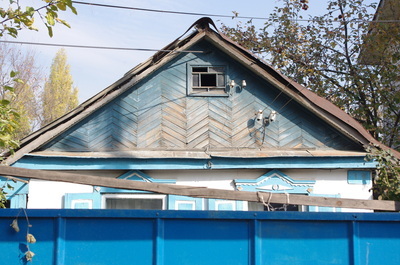 In Almaty, however, gables have become a distinctive feature of local architecture because they're accompanied by all sorts of quaint little add-ons. 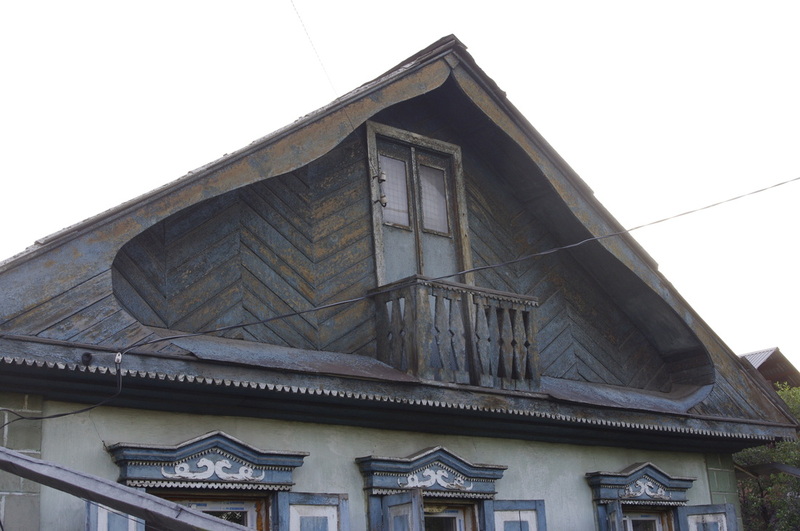 There are the carved eaves, here called prichelina [причелина]; the cute, often functionally useless little balconies [балкончики; balkonchiki]; the recessed facades shaped like onion domes [люковичные фронтоны; lyukovichnye frontony]; the tiny attic windows [чердачные окна; cherdachnye okna] set in carved windowframes; the talismanic icons nailed to the peak of the gable, called a "towel" [полотенце; polotentse] in Russian because it was meant to resemble a lacy kitchen rag. 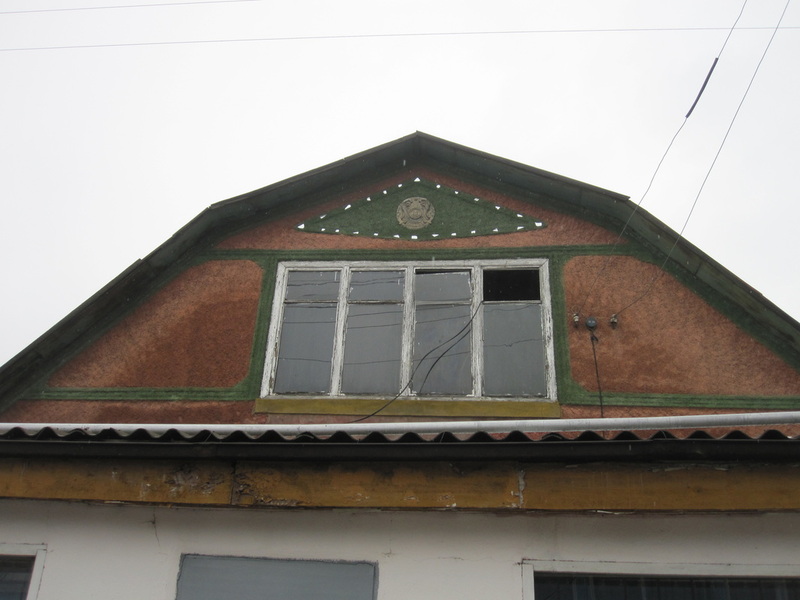 All these features add up to make the gable the most ornamented face of a home, and the most full of meaning.